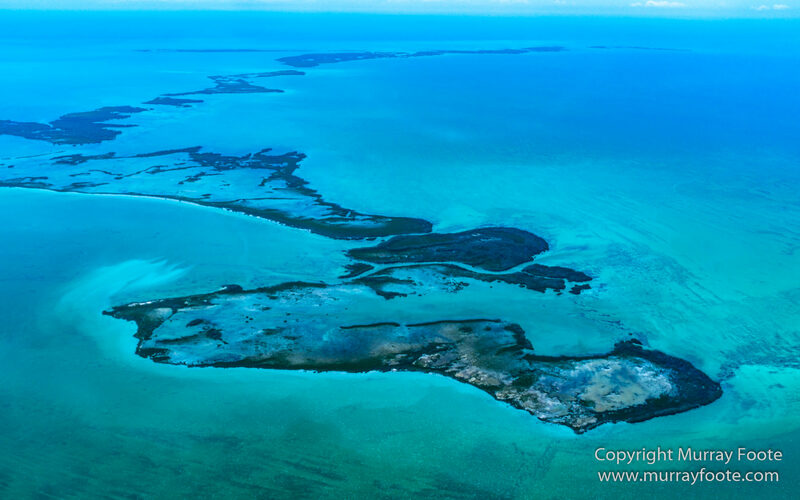 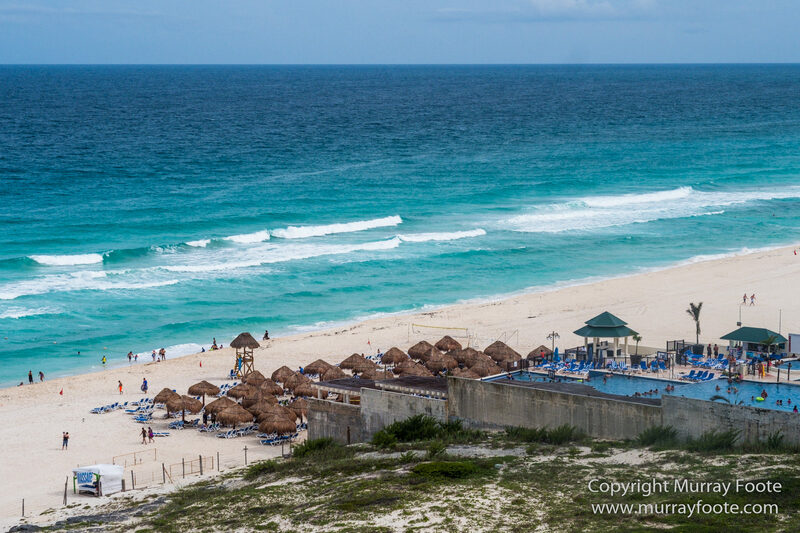 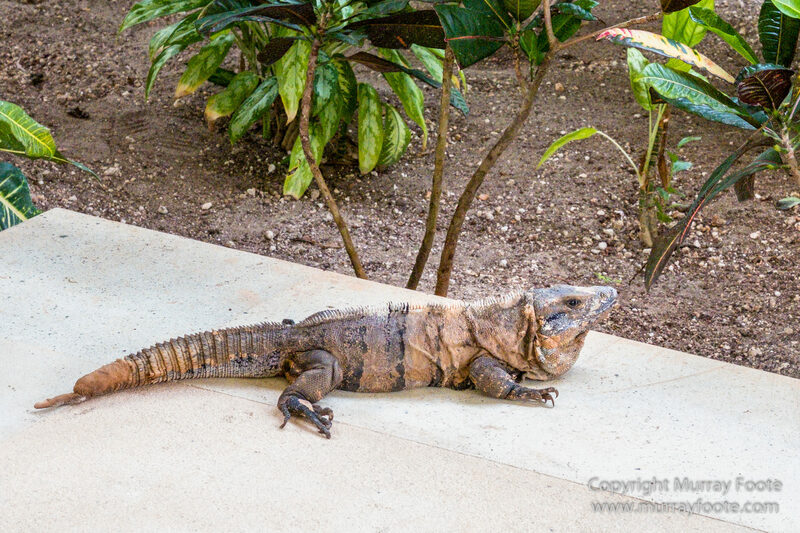 This is the first post of a journey to Cuba and the Caribbean with myself and my partner Jools from two years ago. 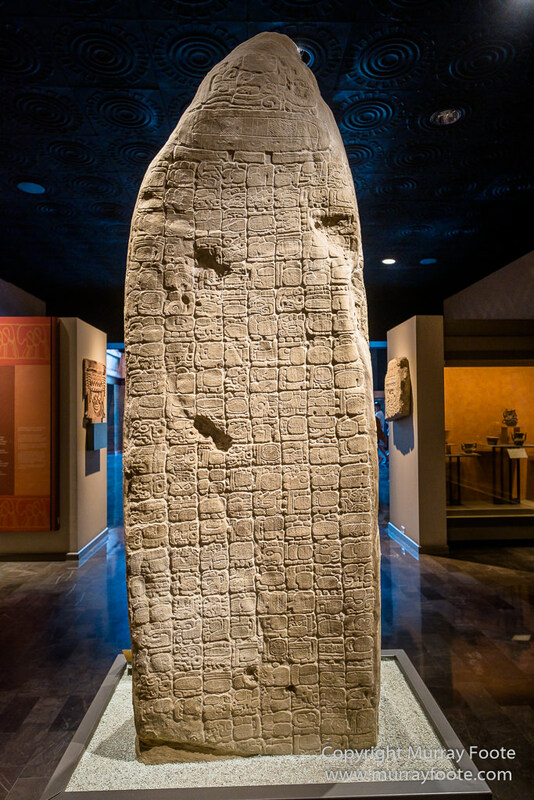 You can see a map of the journey and links to posts here. 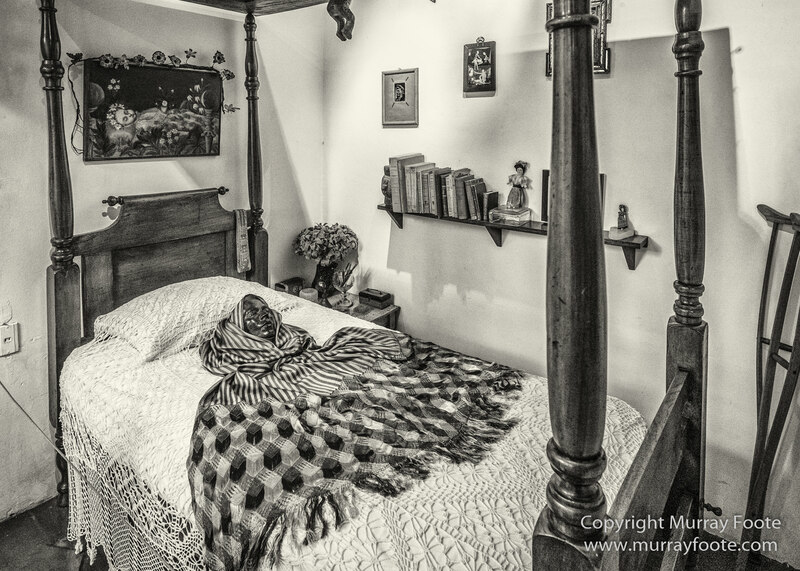 At this stage I only have permanent links to my immediately preceding visit to the Flinders Ranges and temporary links for other destinations. 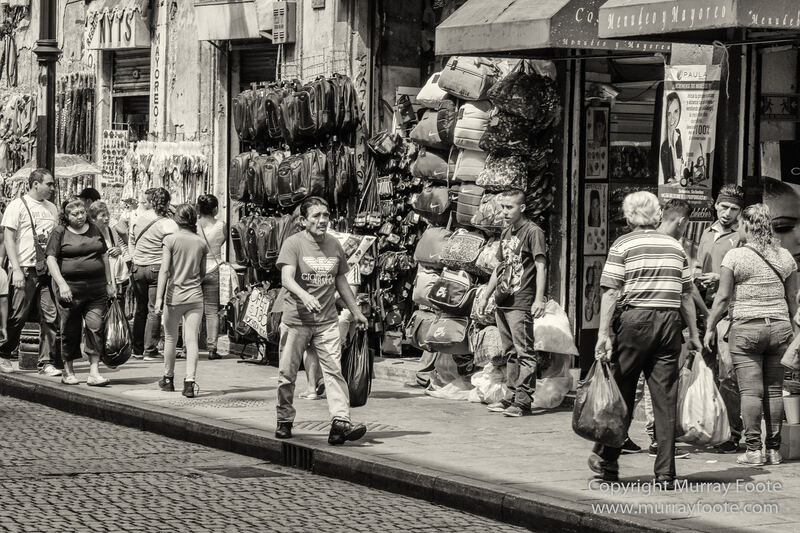 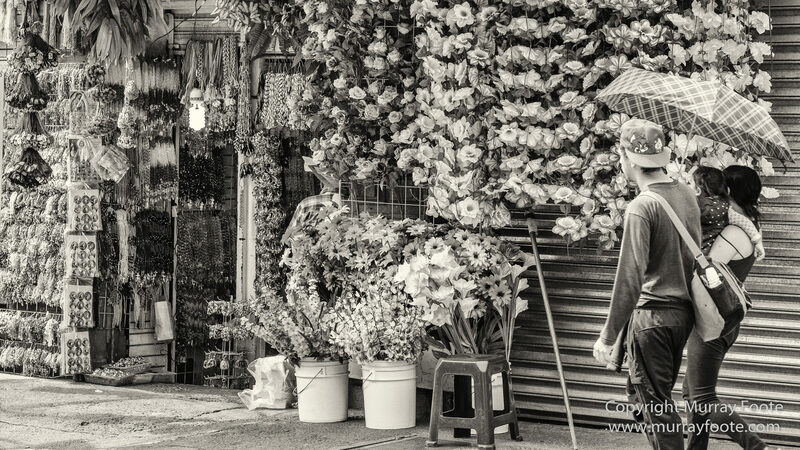 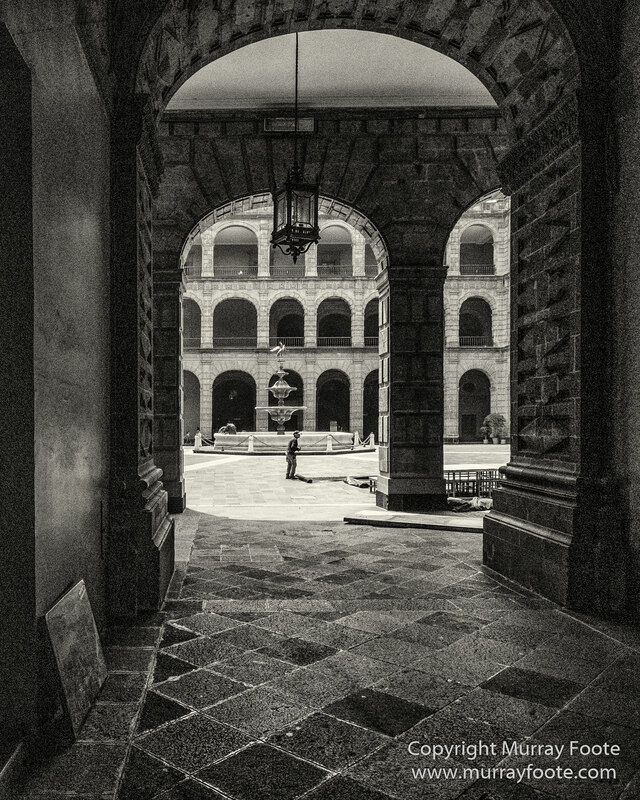 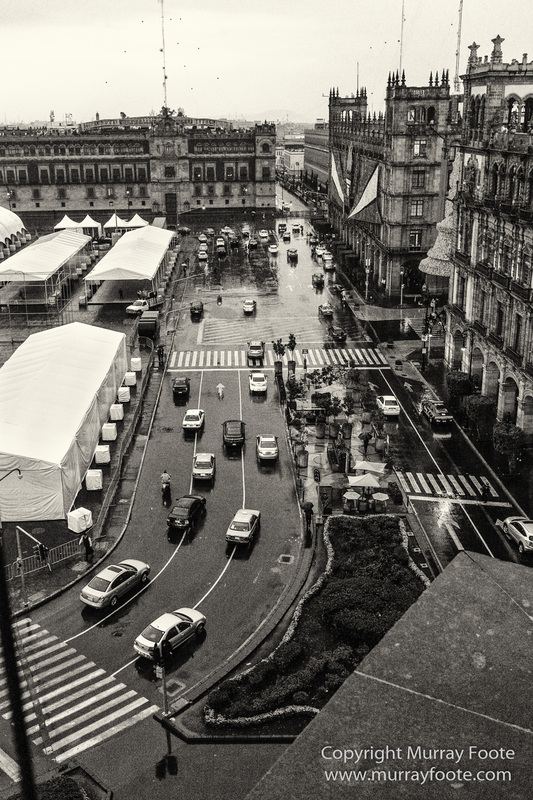 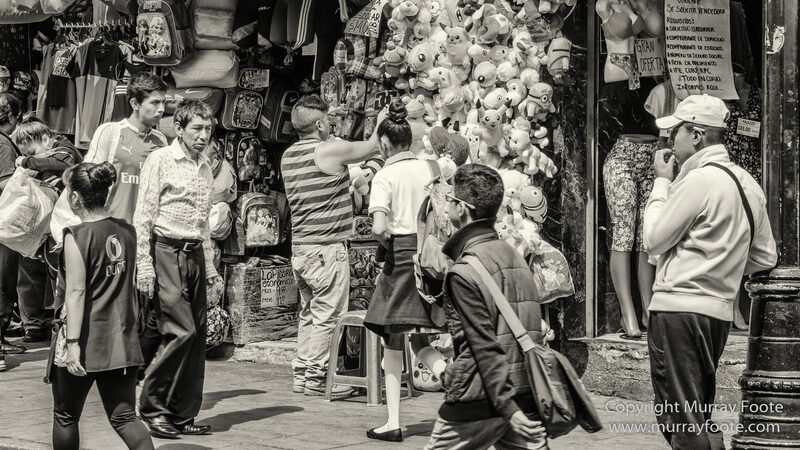 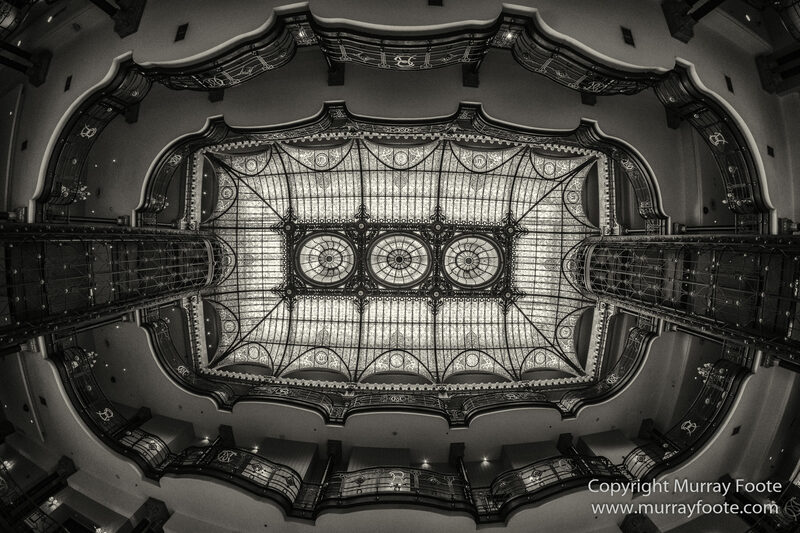 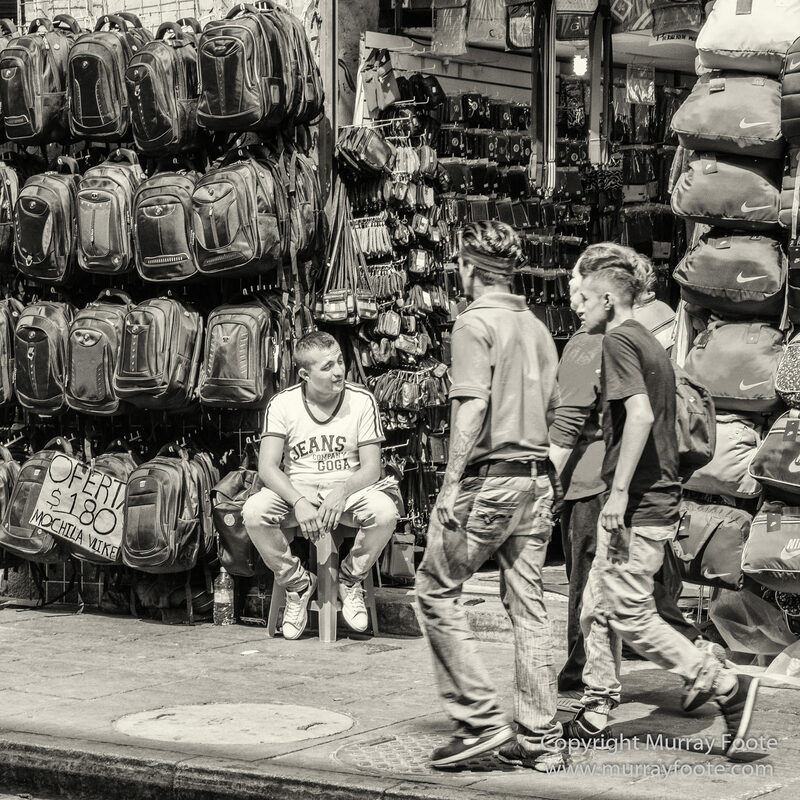 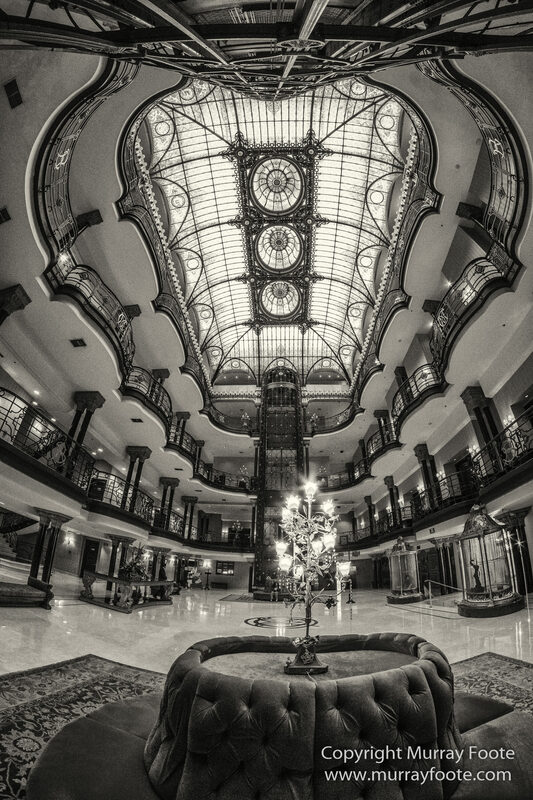 Our first stop was Mexico City for a couple of days. 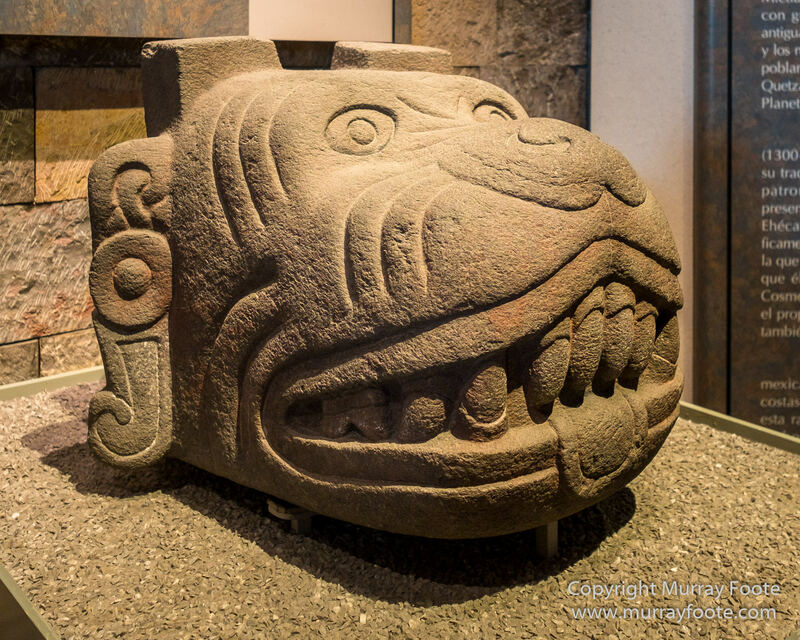 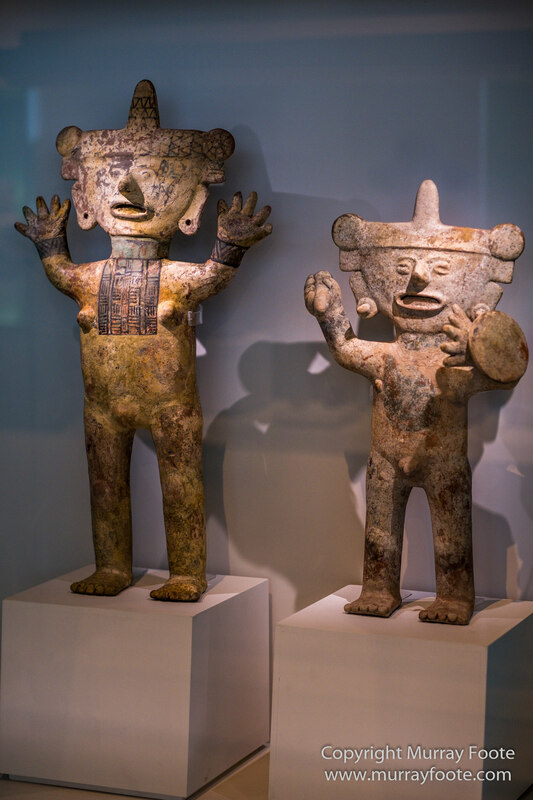 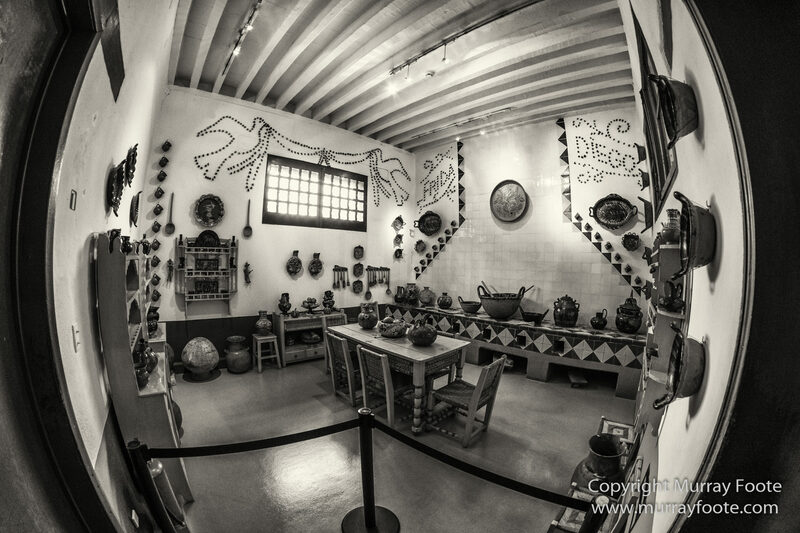 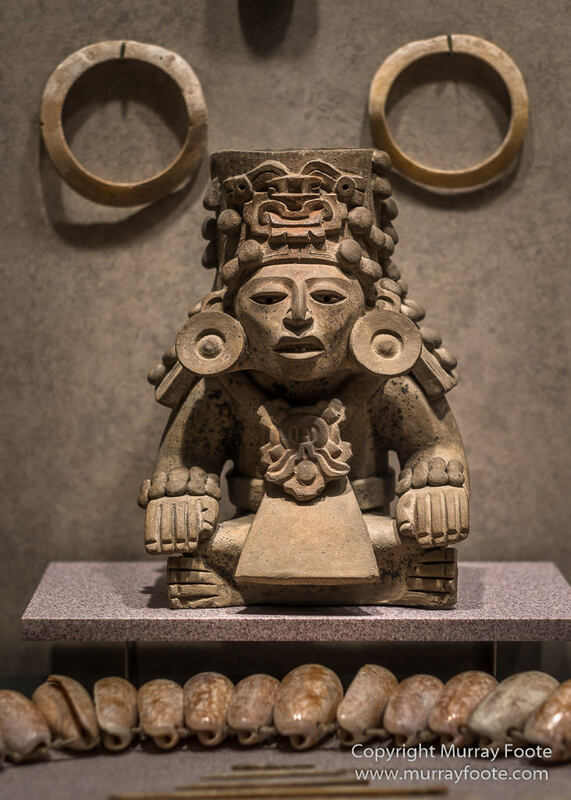 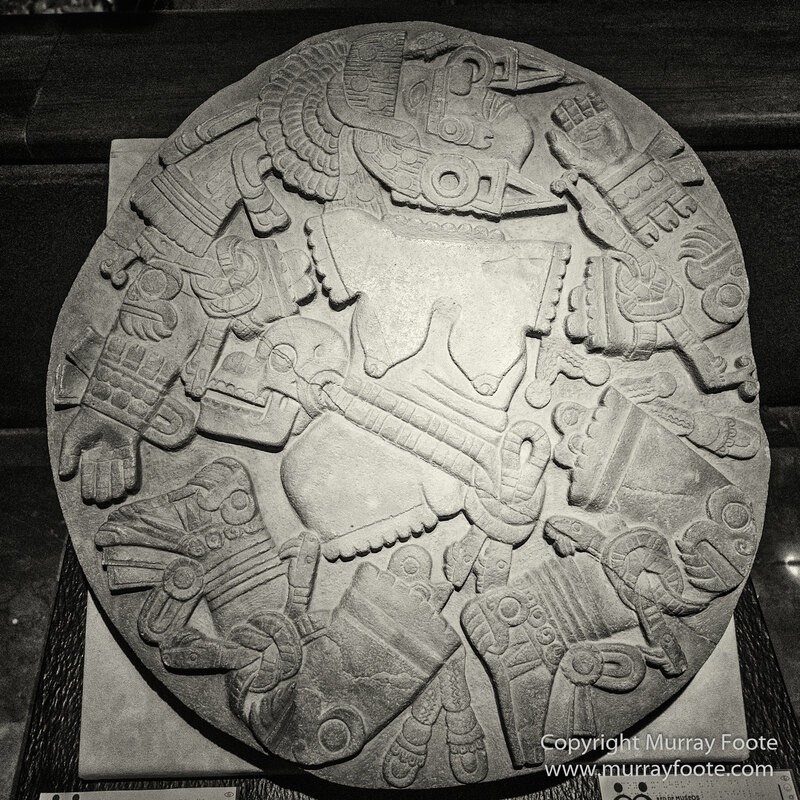 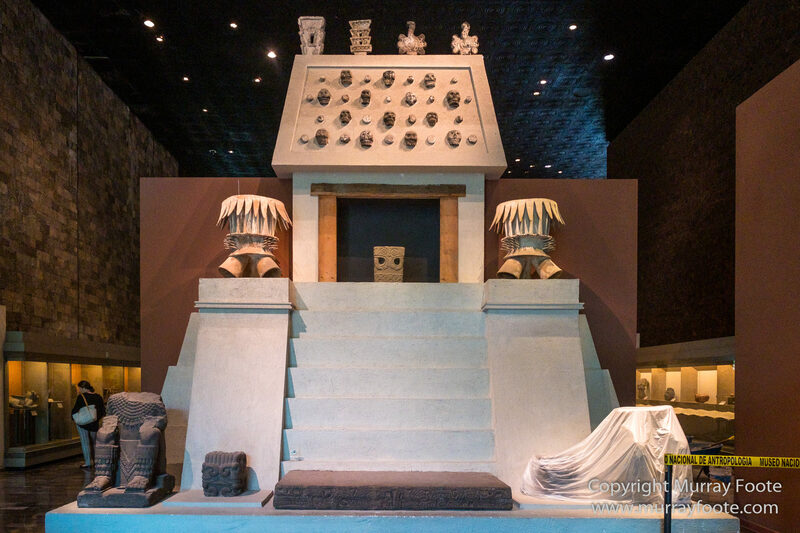 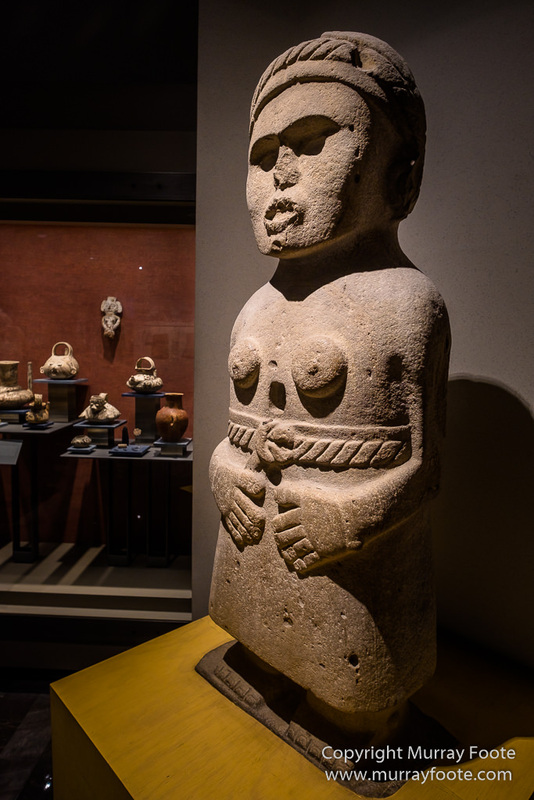 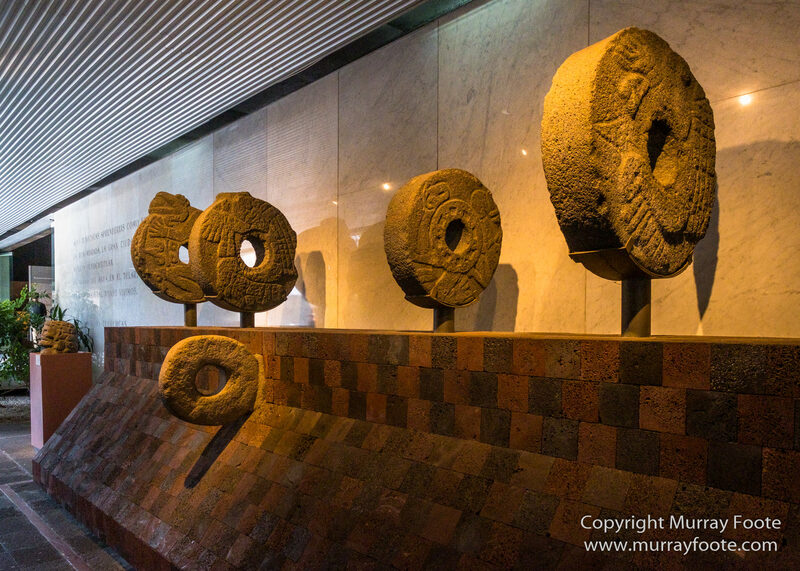 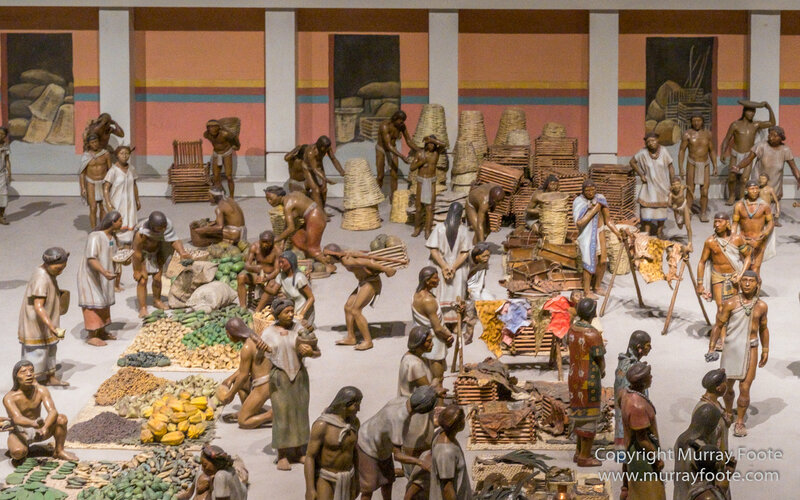 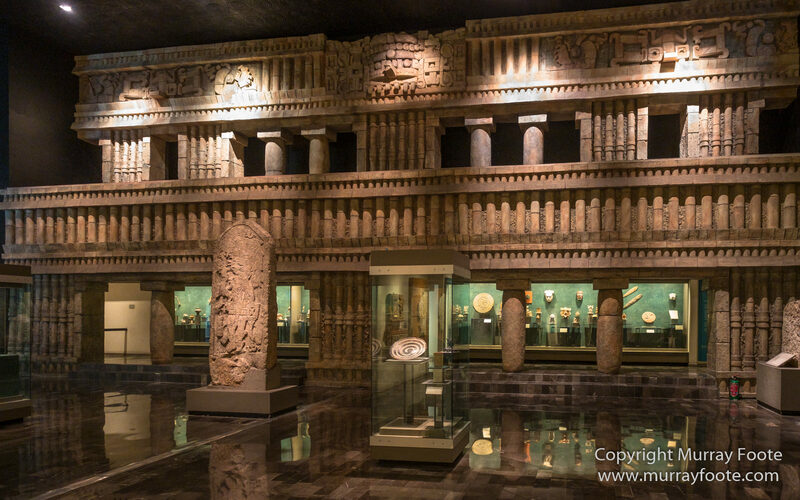 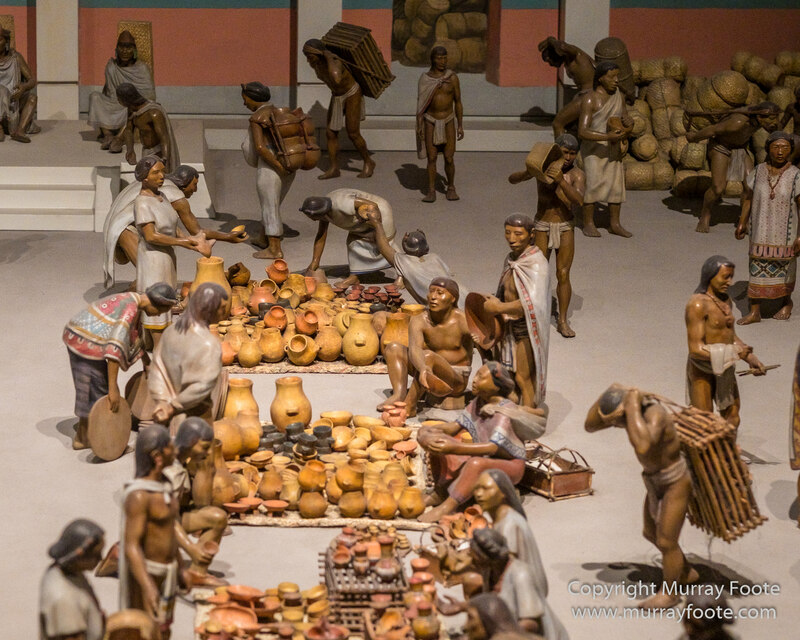 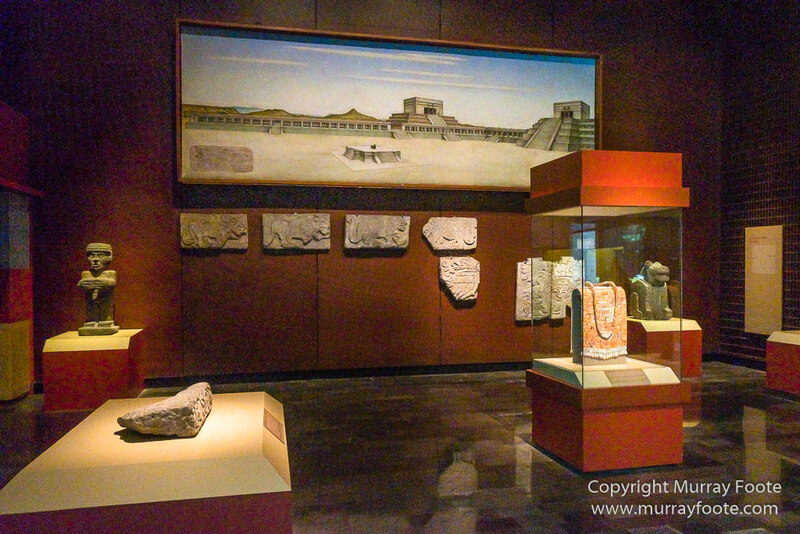 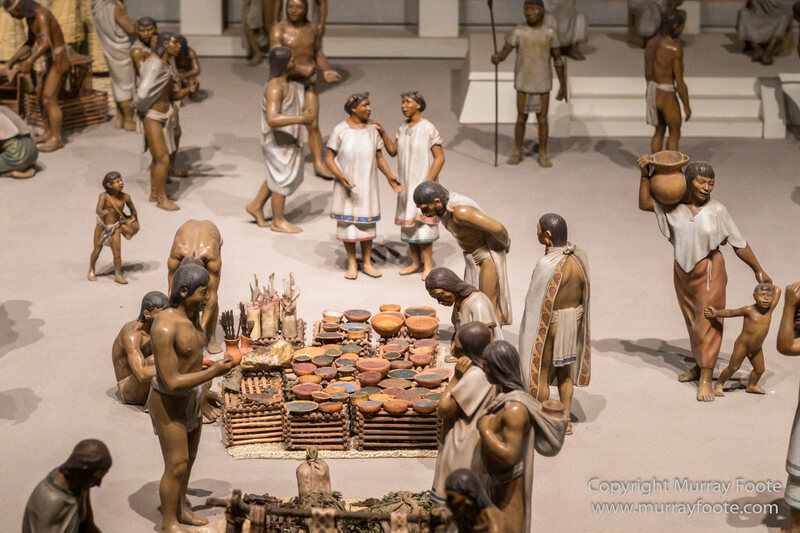 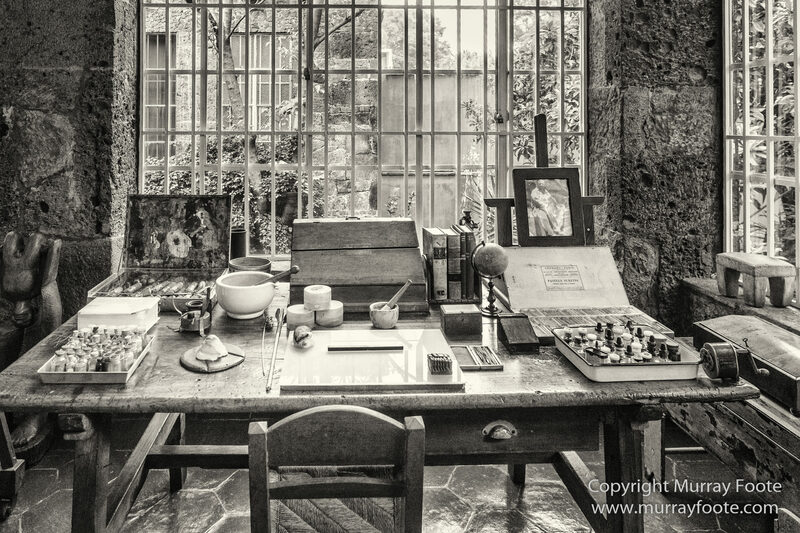 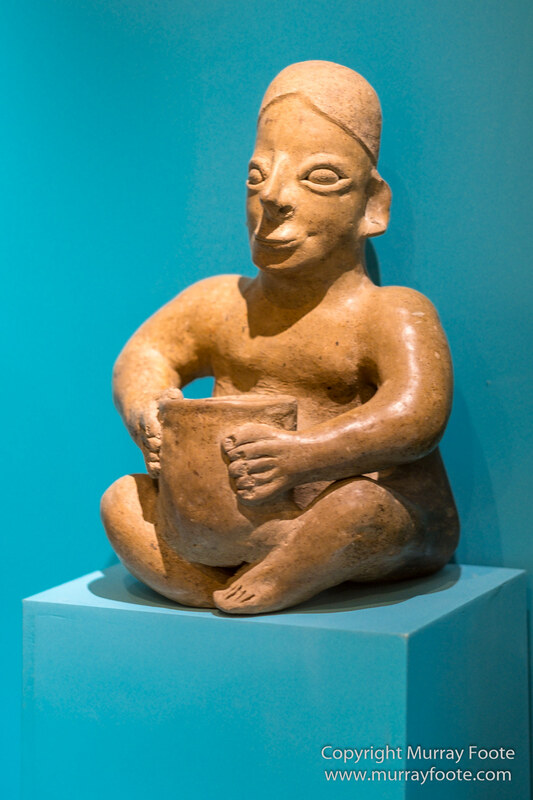 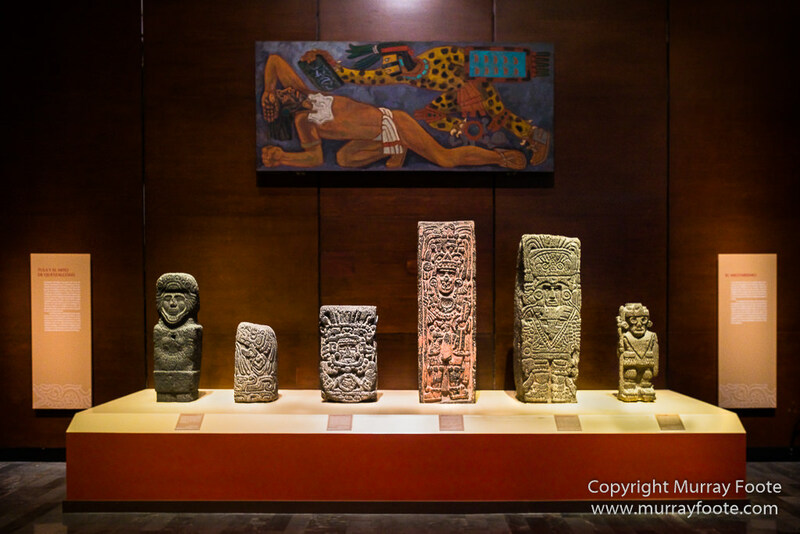 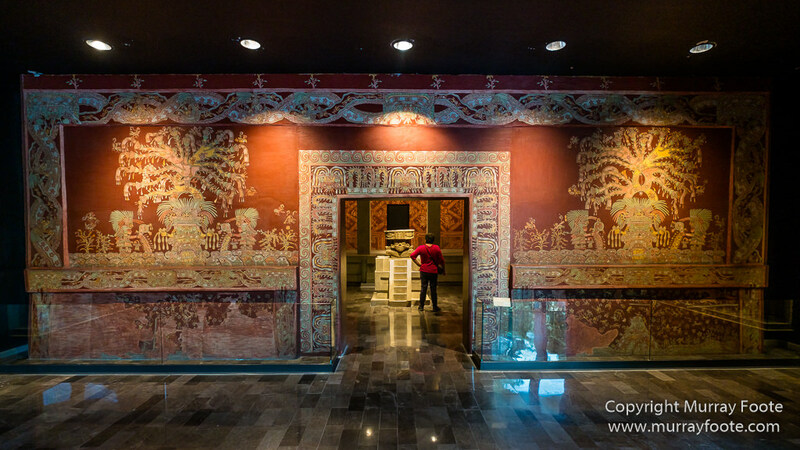 The first place we visited was Museo Nacionale de Antropologia, which features a magnificent assemblage of objects from Mexico’s ancient civilisations. 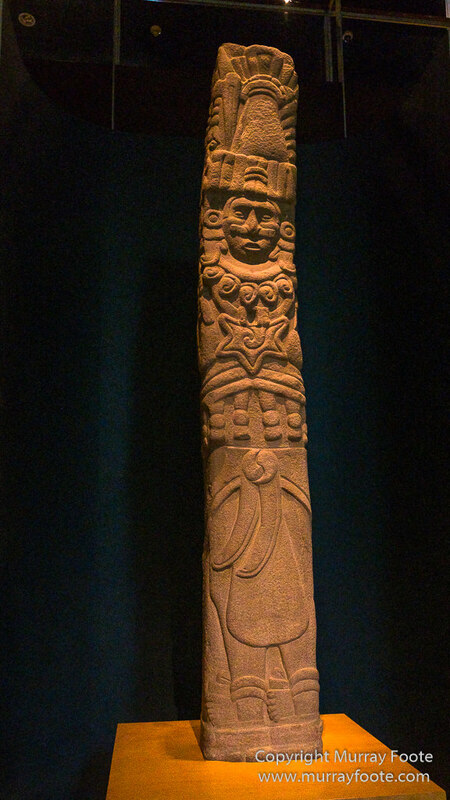 I have divided this into two posts. 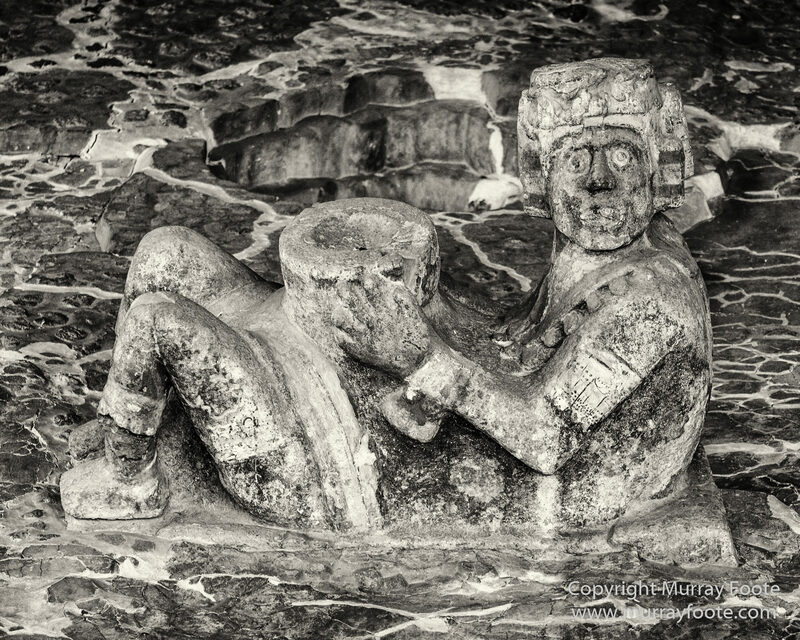 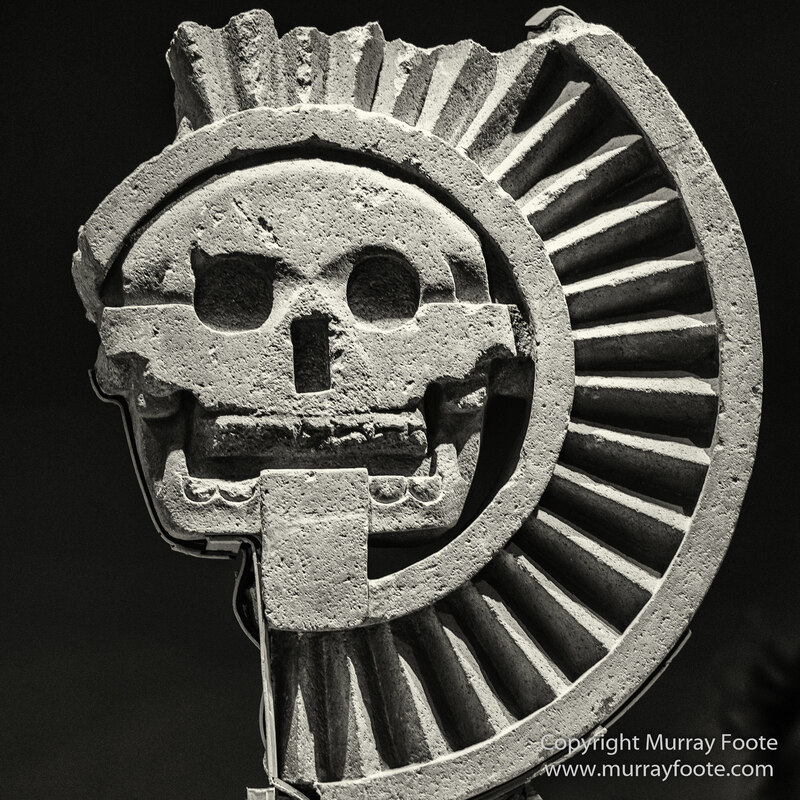 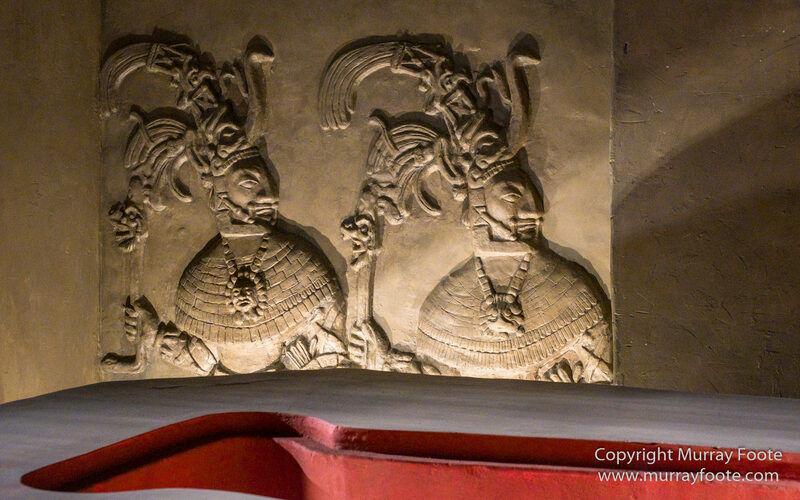 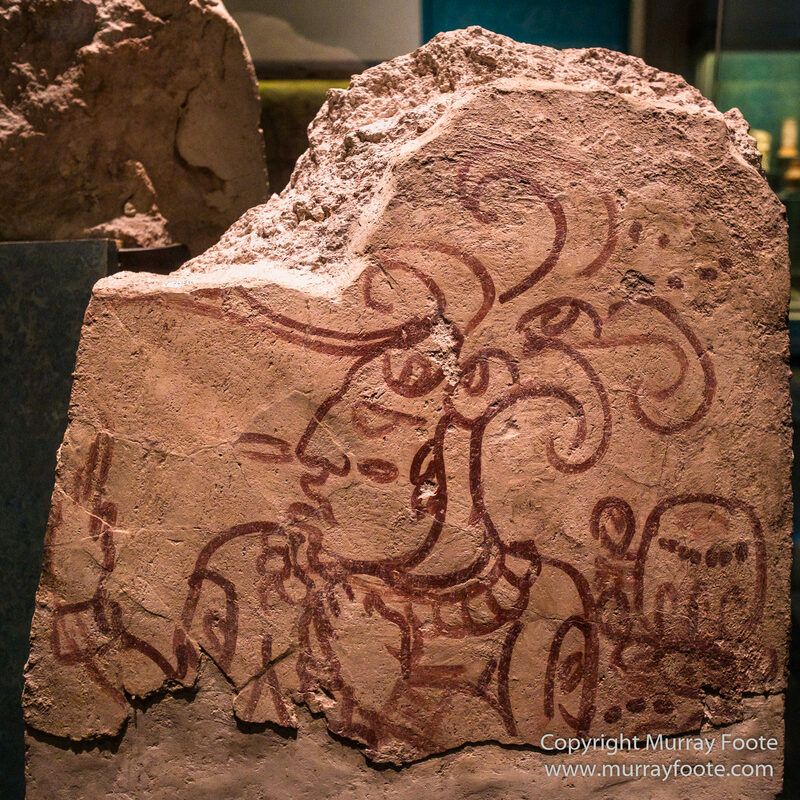 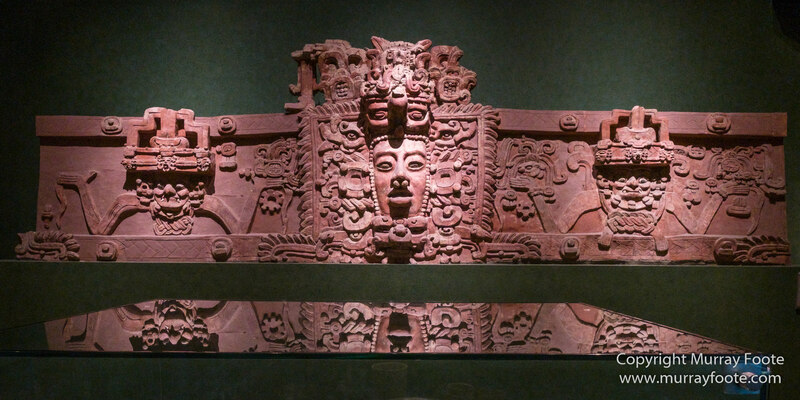 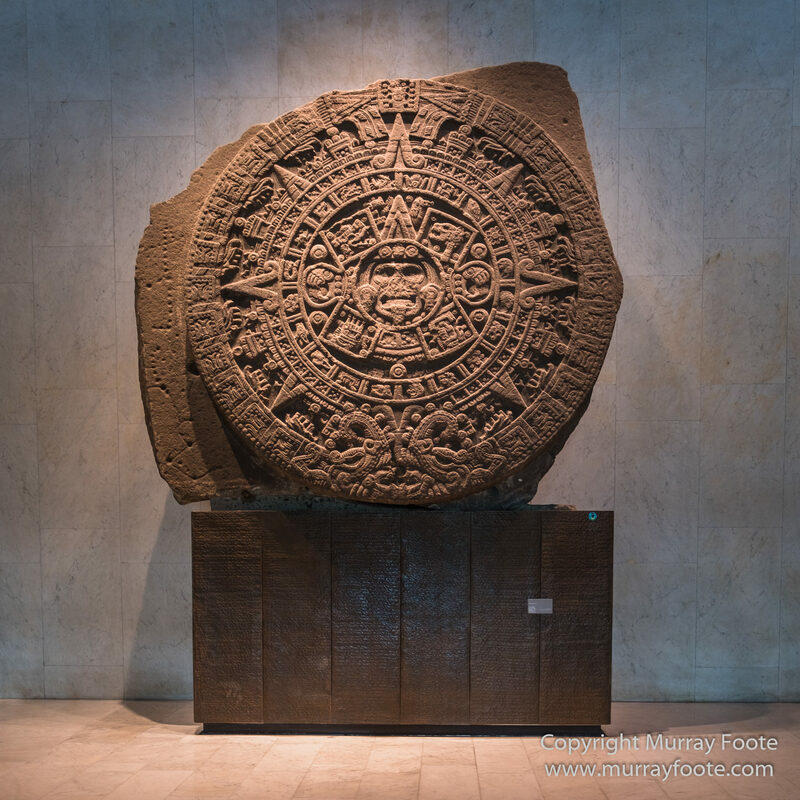 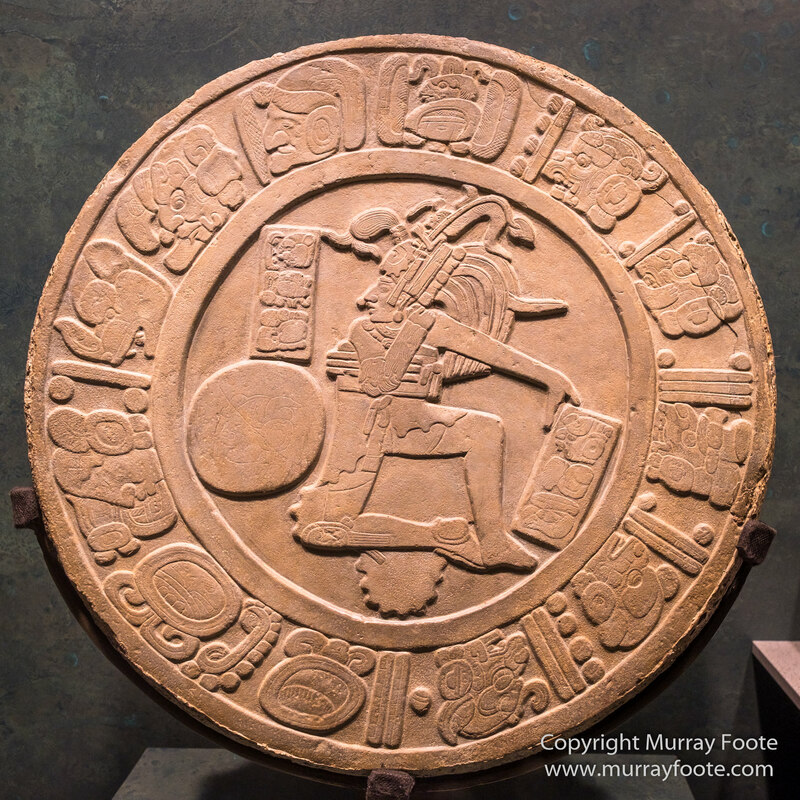 The next post covers Toltecs, Mayans and Aztecs. 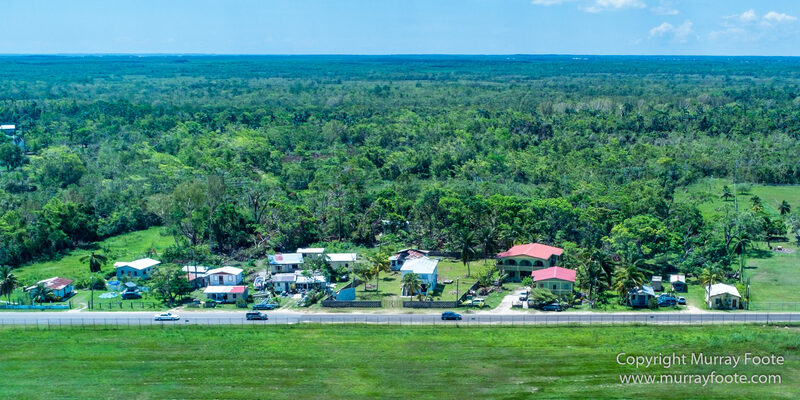 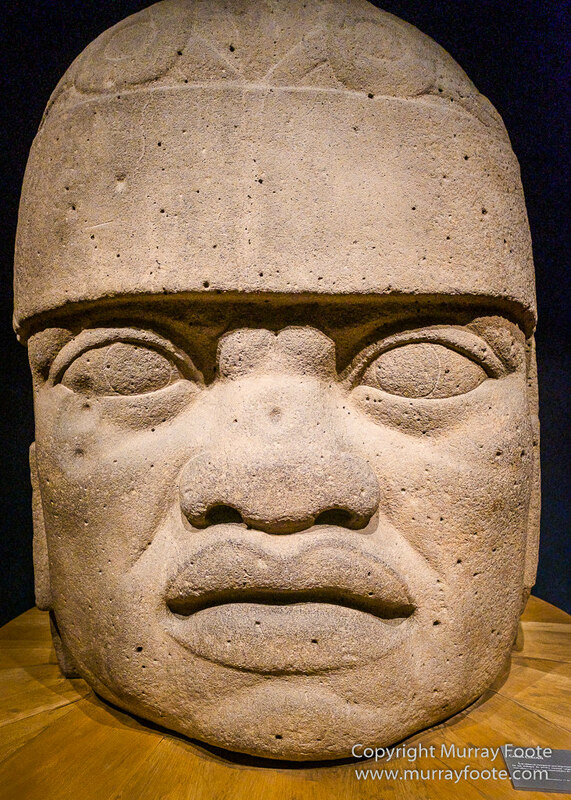 The Olmecs were the first civilisarion to appear in Mexico from about 1800BC in a region on the coast of the Gulf of Mexico to the west of the Yucatan Peninsula. 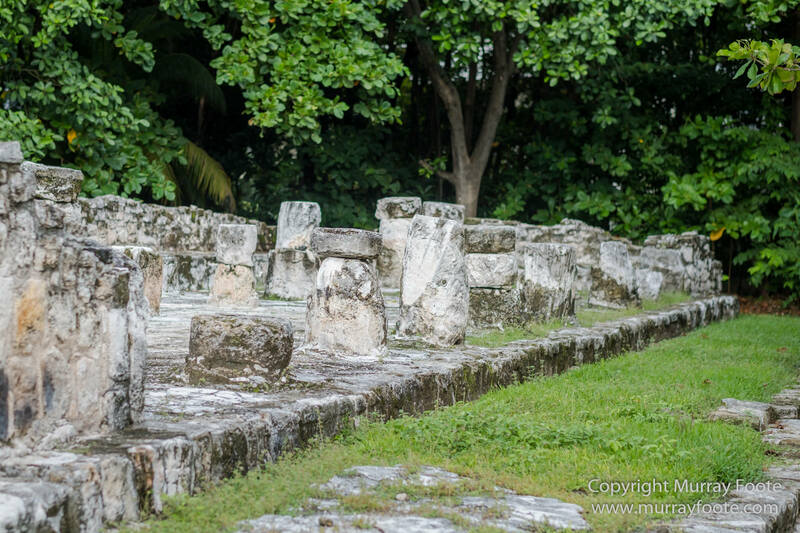 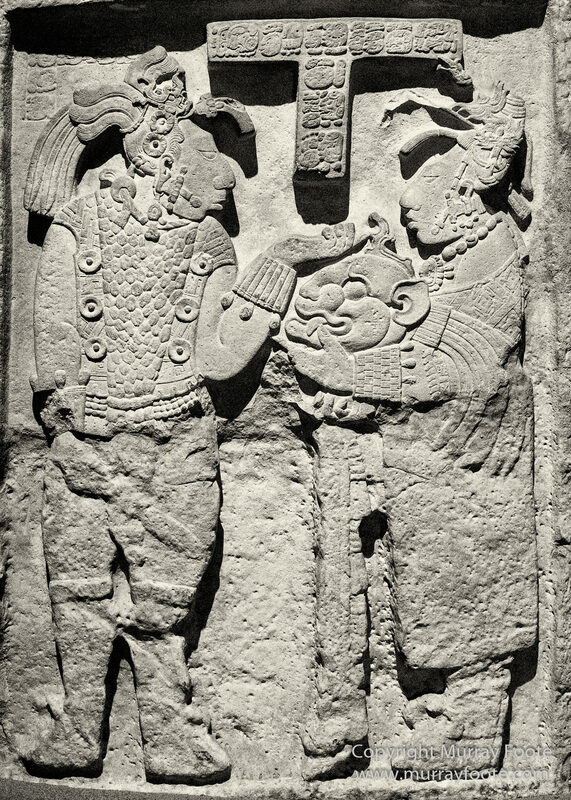 They were a significant influence on all succeeding cultures, including the cult of sacrifice and the ball court. 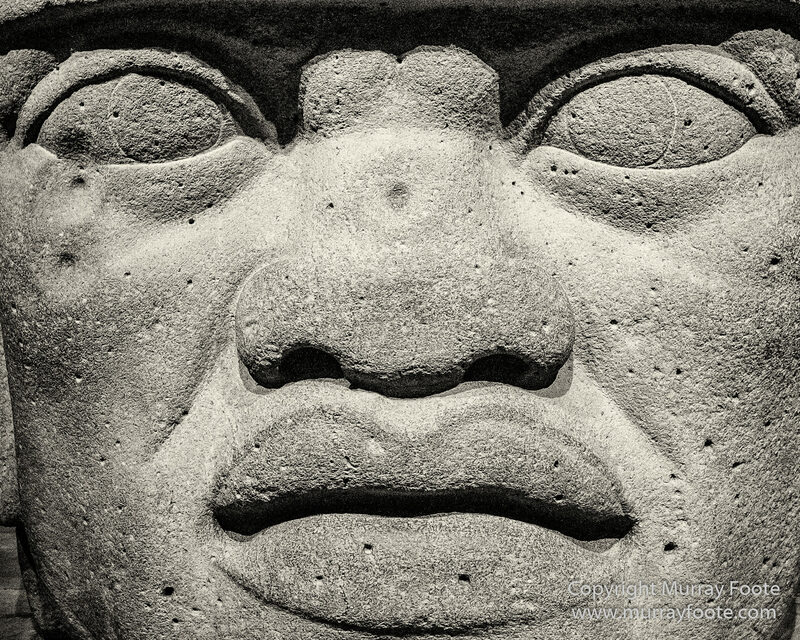 The Olmec period was from 1800BC to 250AD. 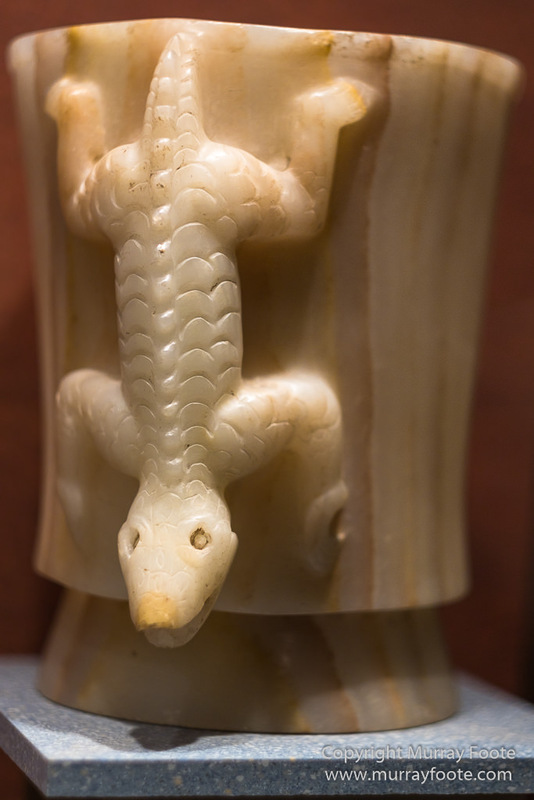 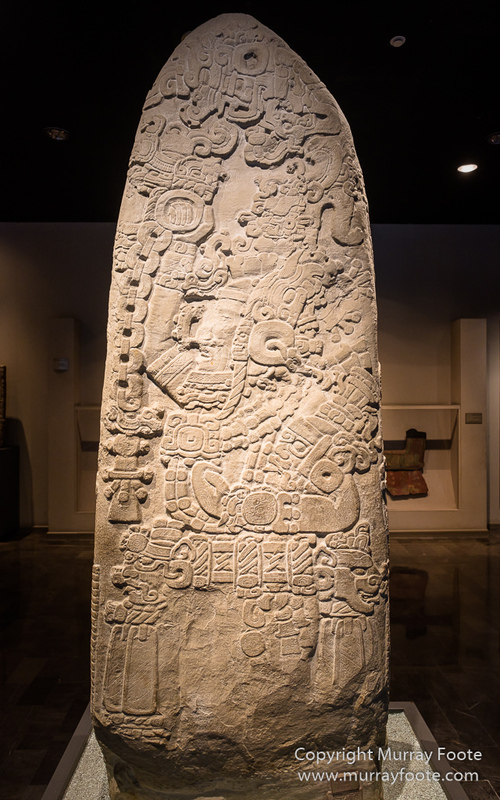 Later Gulf Coast cultures included El Taijin from 250 to 900AD and the Huaxtecs from 900 to 1300AD. 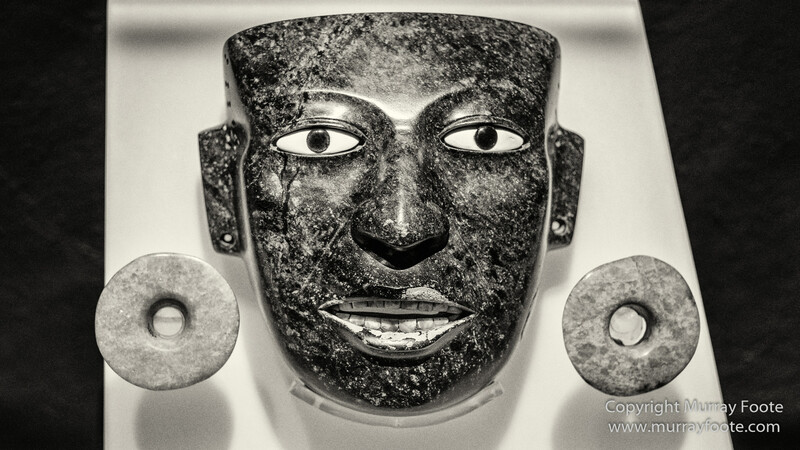 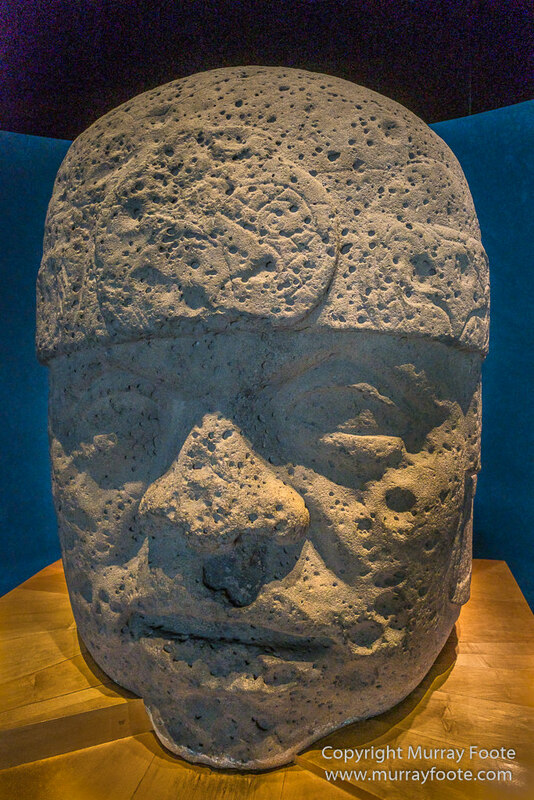 Massive stone heads were a dramatic part of Olmec culture. 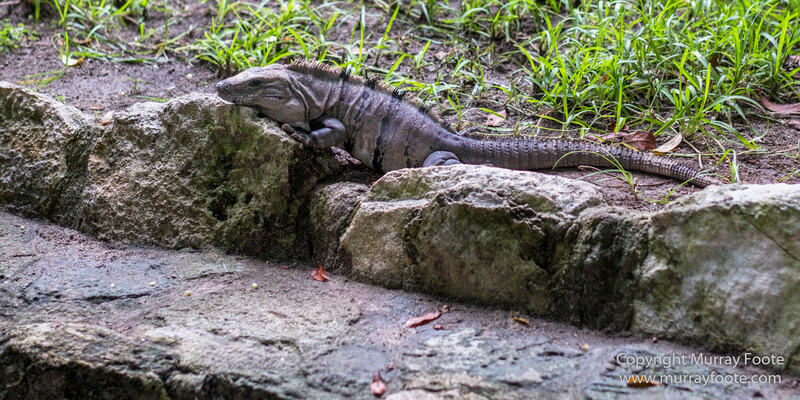 This one, largest of a group of several found at San Lorenzo, Veracruz, weighs 20 tonnes. 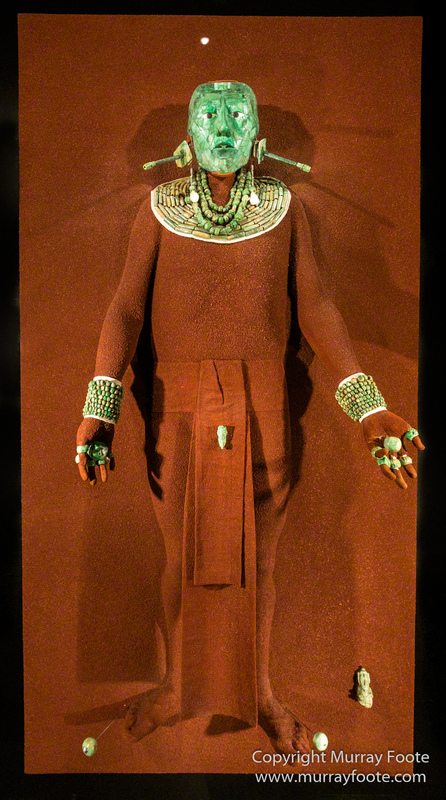 This one is in somewhat better condition; an idealised depiction of a political or spiritual leader. 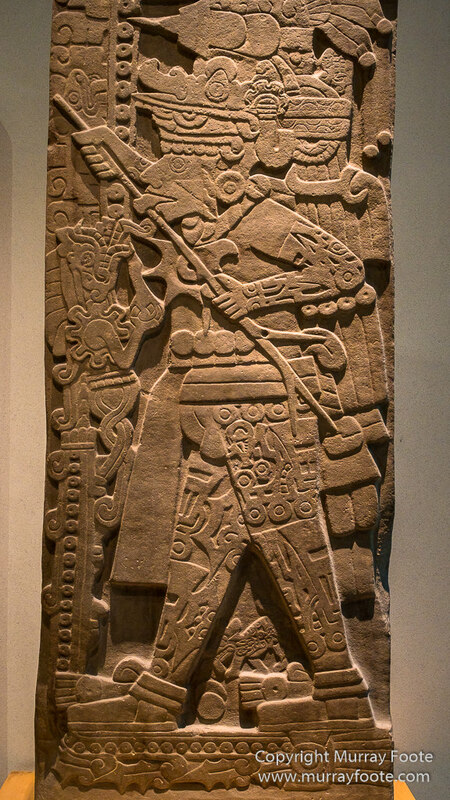 I don’t have a label for this one but I presume it’s Huaxtec. 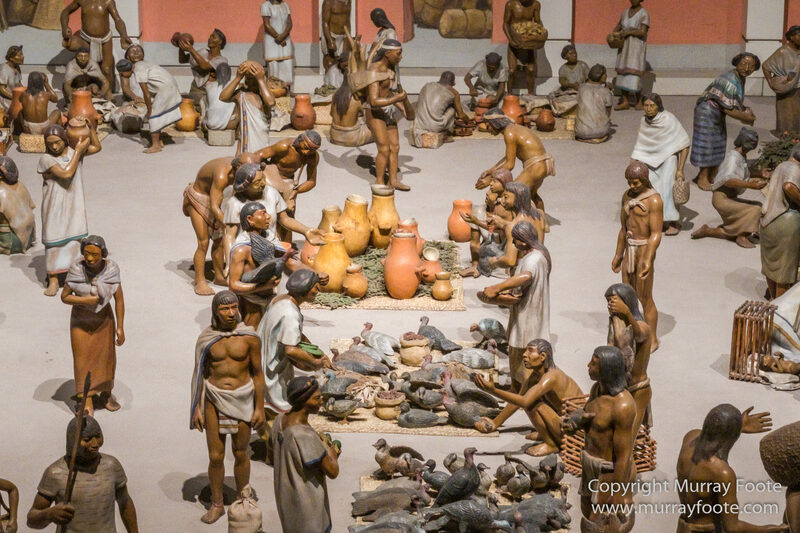 This is Huaxtec. 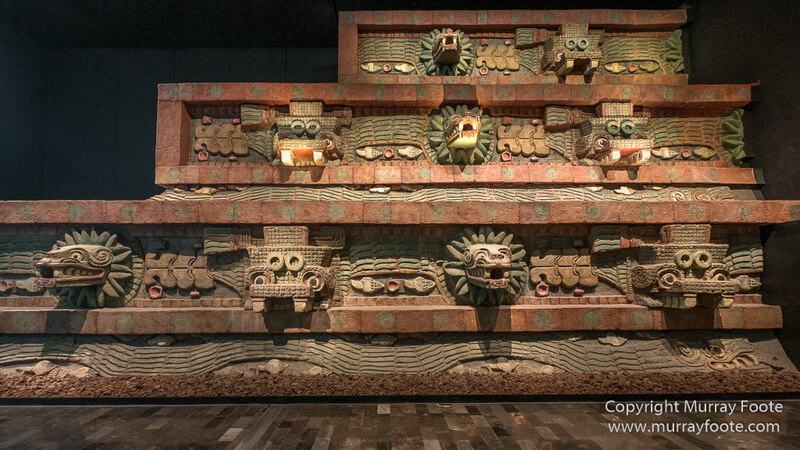 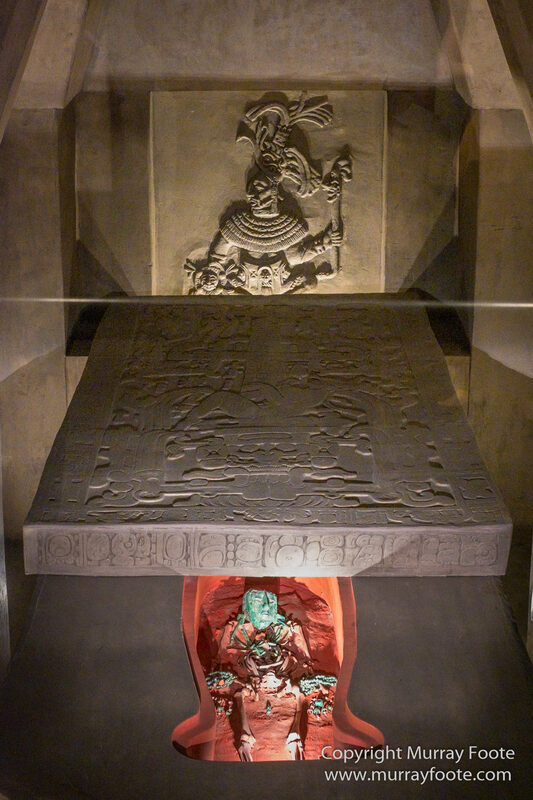 It depicts a ceremony of self-sacrifice associated with the god Quetzacoatl-Ehecalt (wind god). 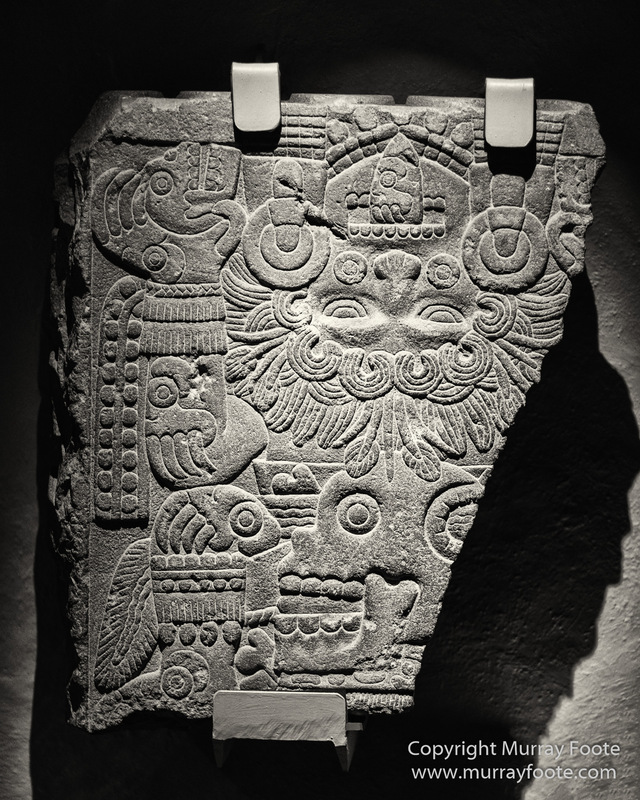 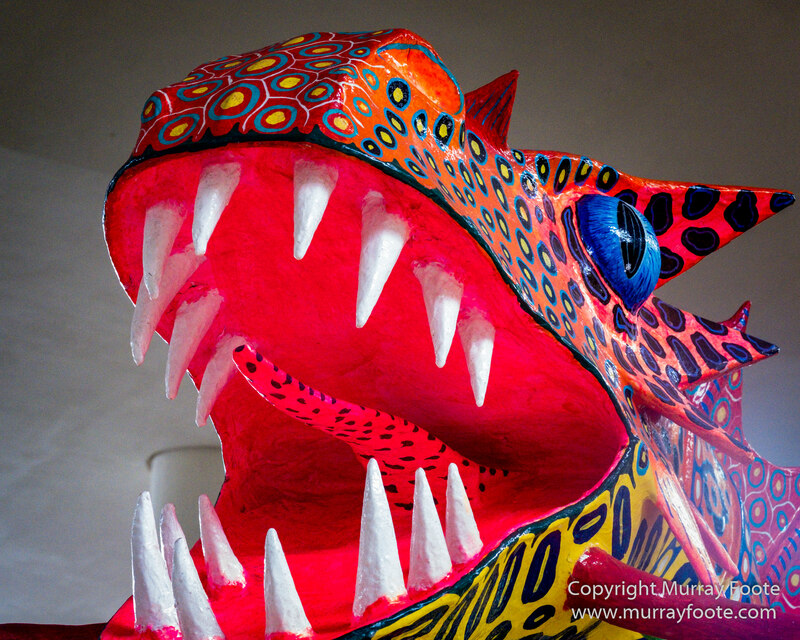 Quetzacoatl, a god also for the Aztecs, originated from the Olmecs. 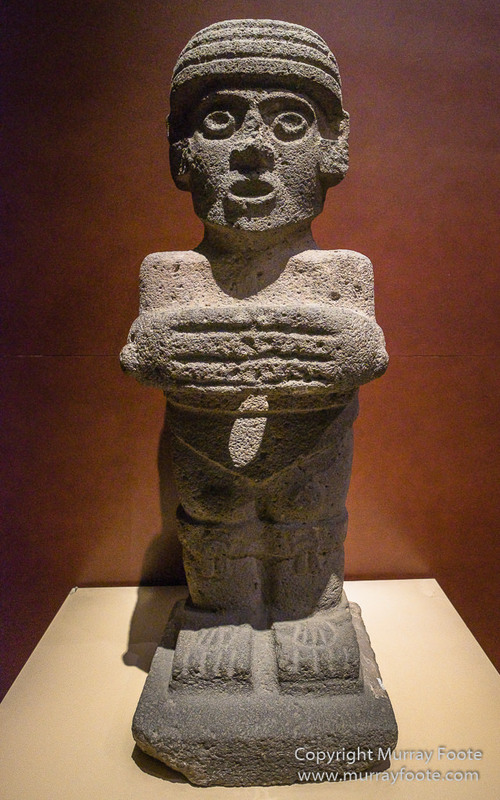 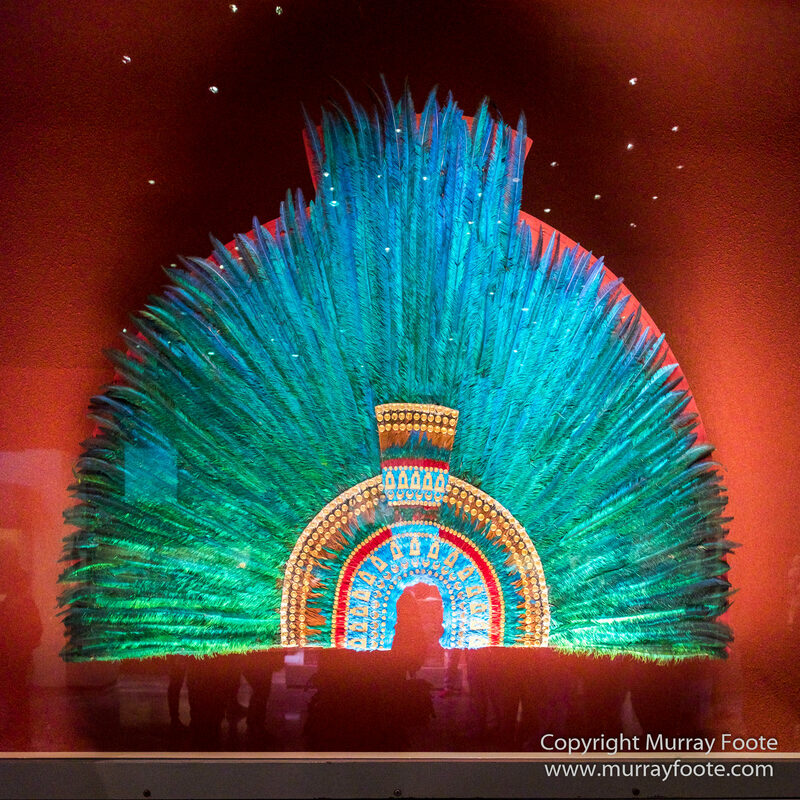 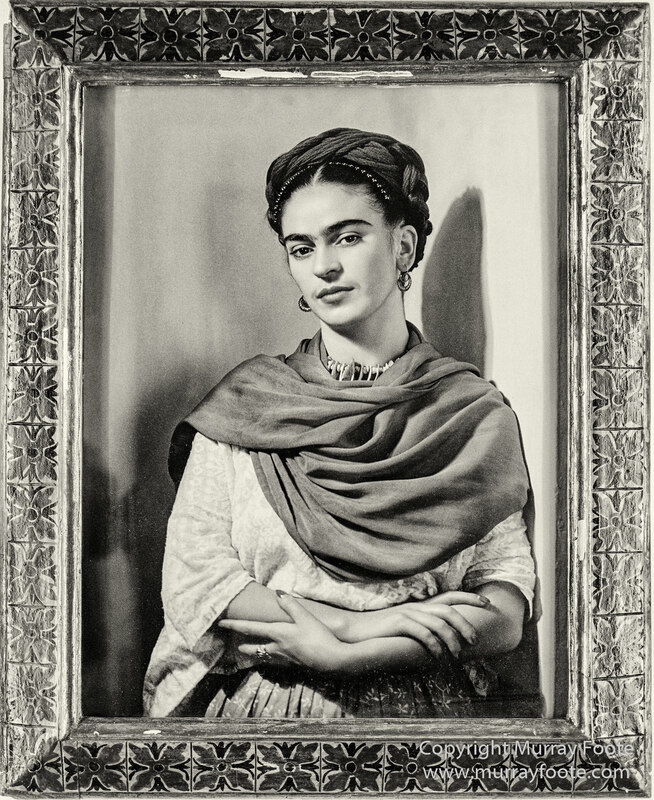 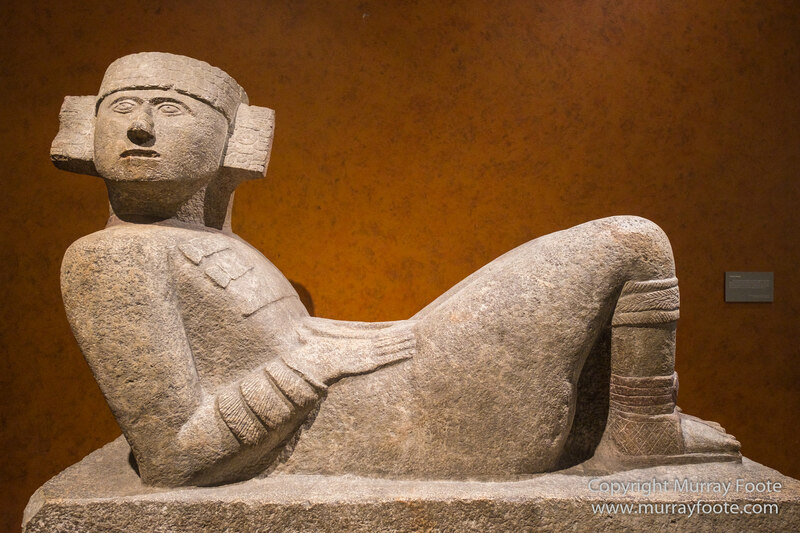 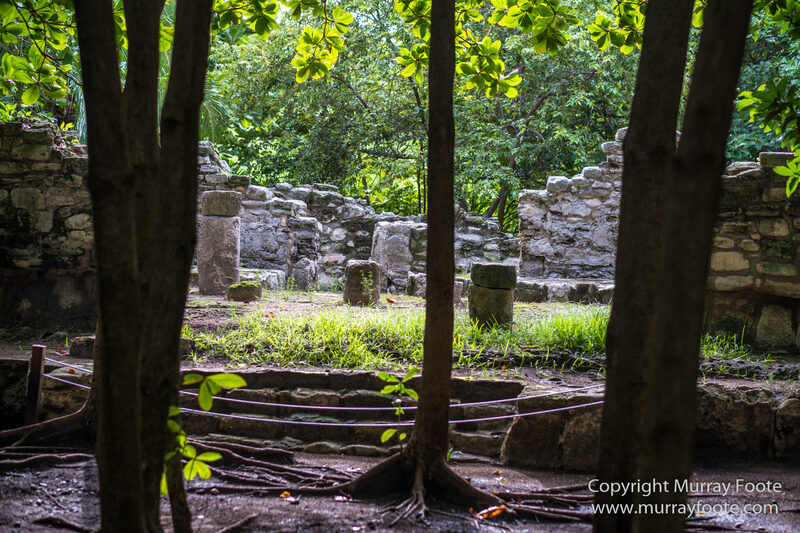 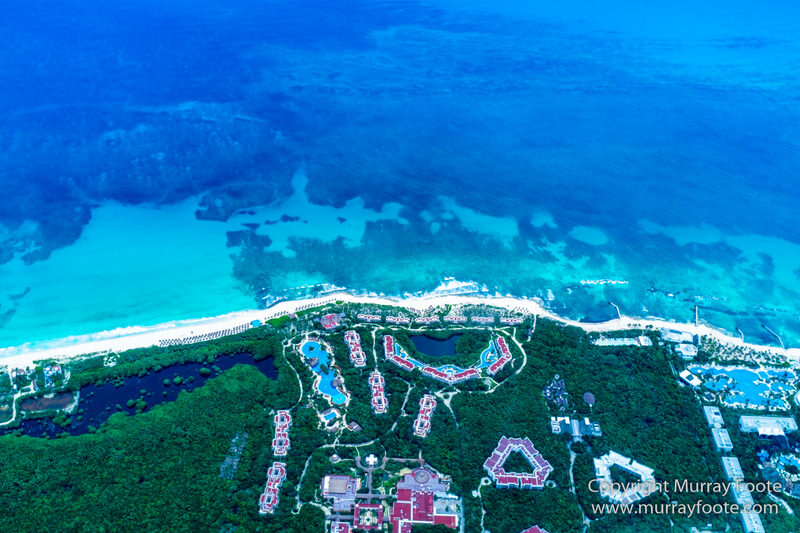 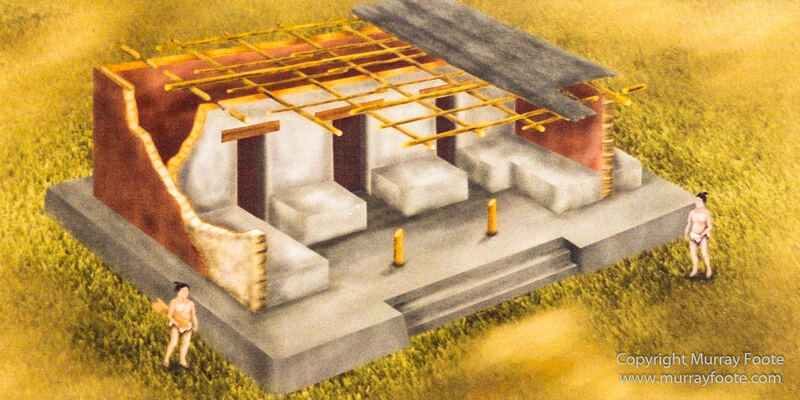 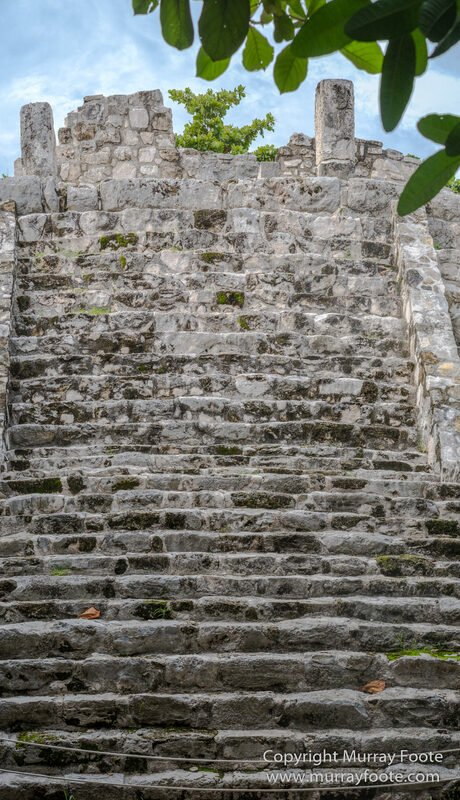 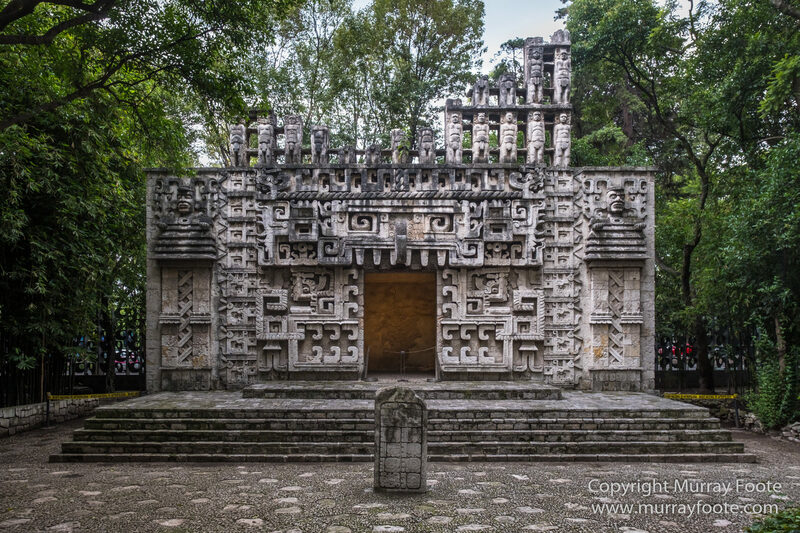 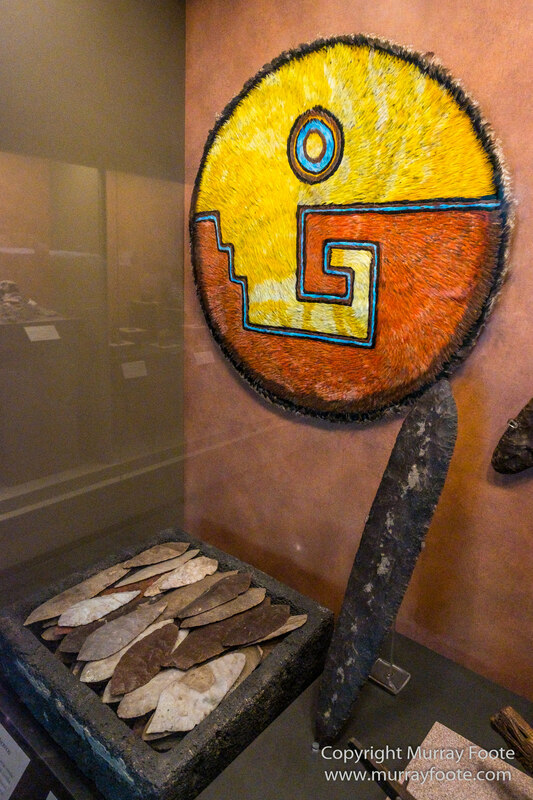 The Zapotecs were another early culture, spanning from 600BC to 800AD. 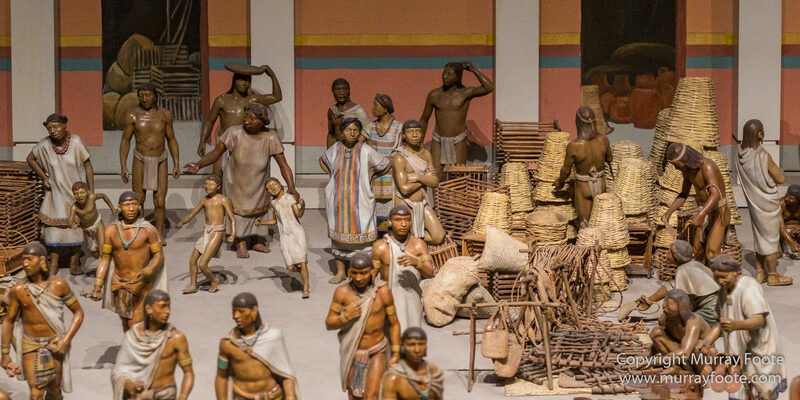 They settled in mountain valleys near the Pacific coast. 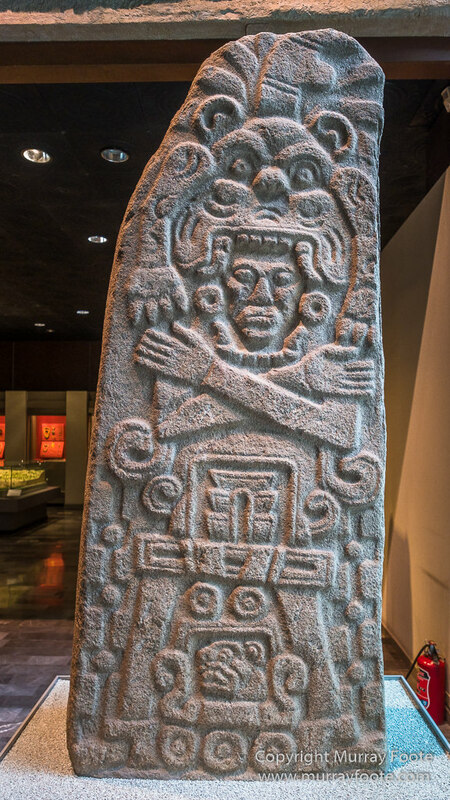 They were overwhelmed by a force from Teotihuacan with superior obsidian (volcanic glass) spearheads and a different local group, the Mixtecs, took over from 800 to 1529AD. 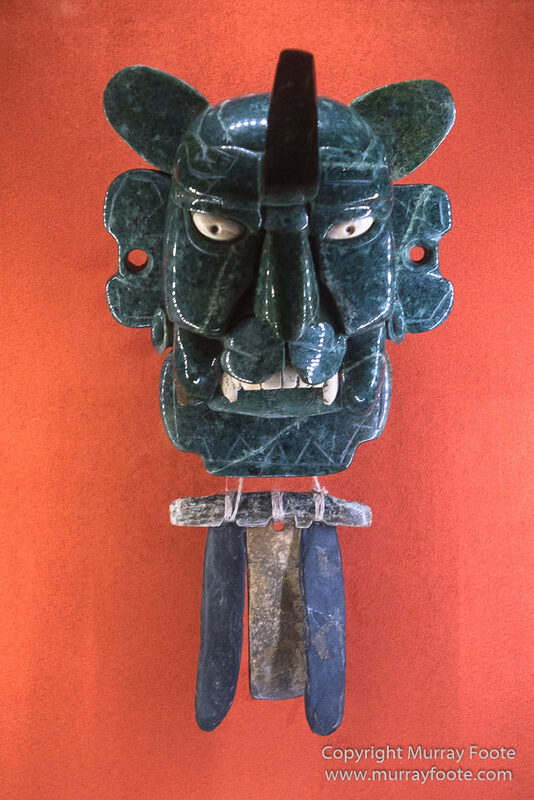 A mask representing the “bat god” found with the remains of five human sacrifices near the base of the eastern temple of building “H” in Monte Alban, the Zapotec capital It is made of twenty-five pieces of jade, with the eyes and teeth made from seashells. 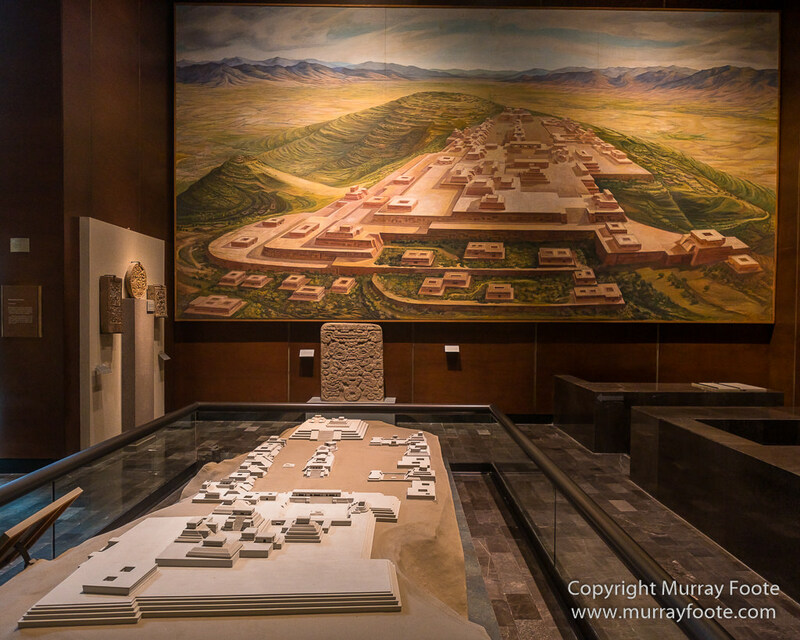 Monte Alban, the Zapotec capital. 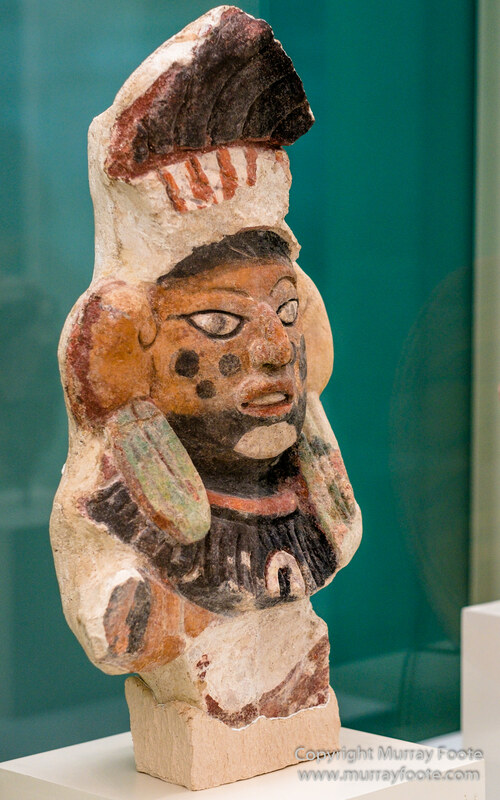 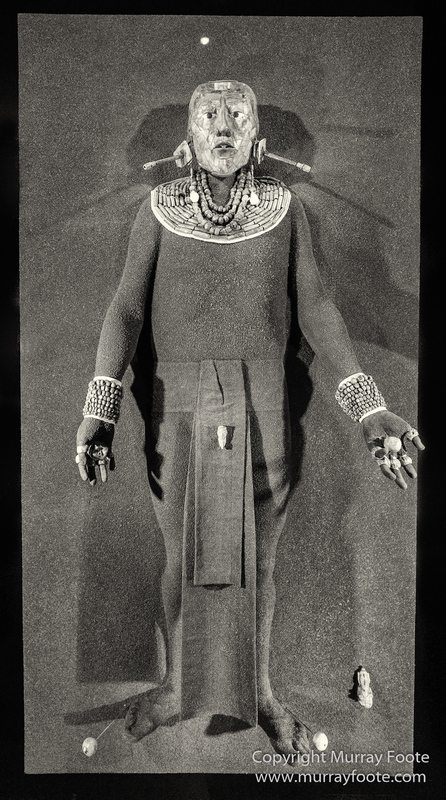 Deity, priest or ruler with jaguar’s head headdress. 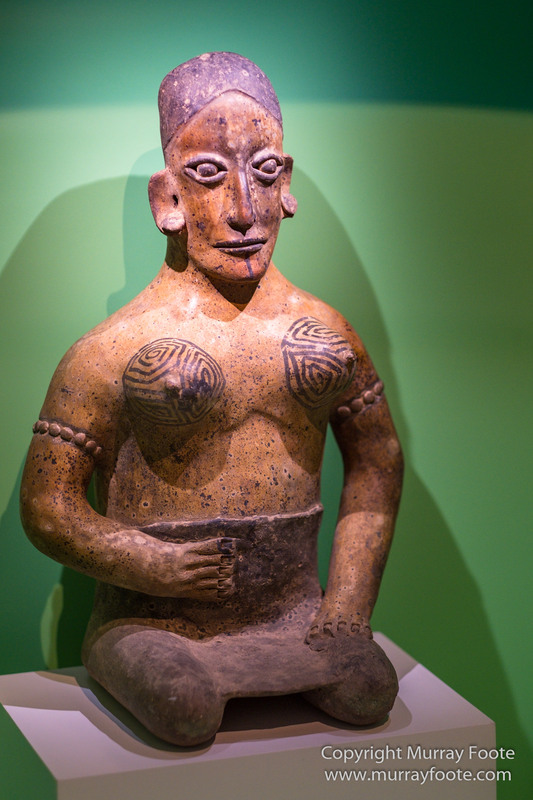 The crossed arms show influence from South America and there are pictograms in the lower part. 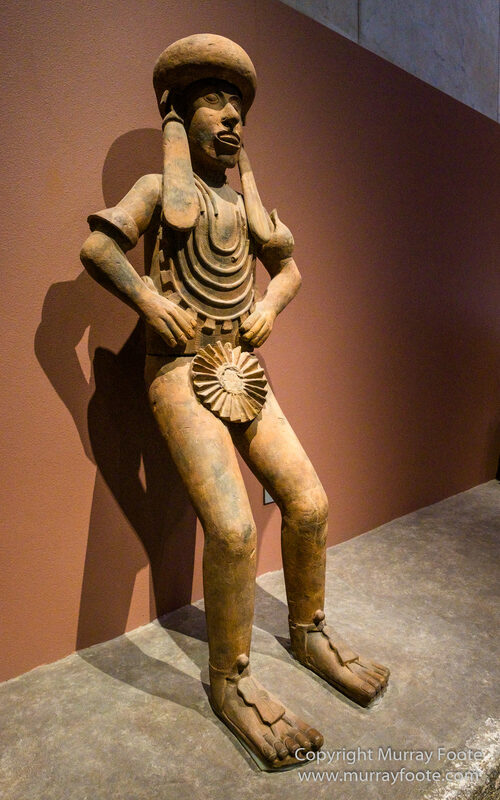 Pacific coast, late postclassical (800-1521AD). 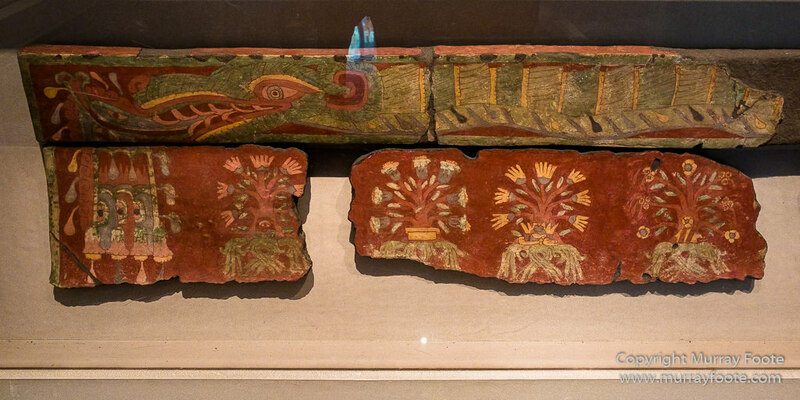 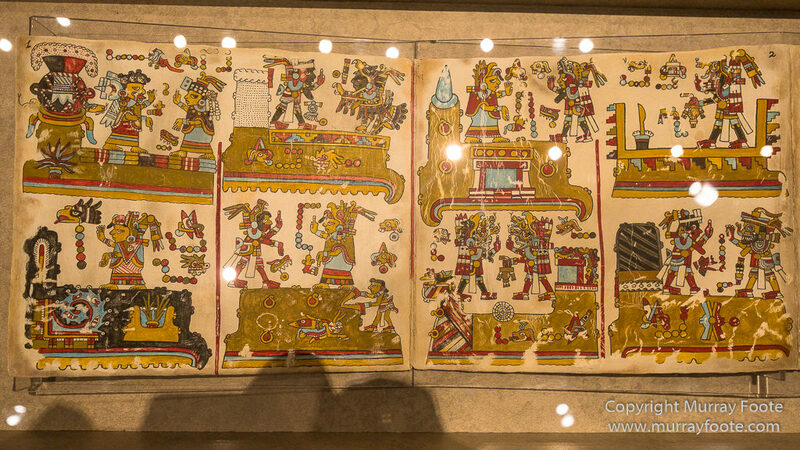 These are both preHispanic codices, painted on deerskin, folded as an accordion and bound by wooden coverings. 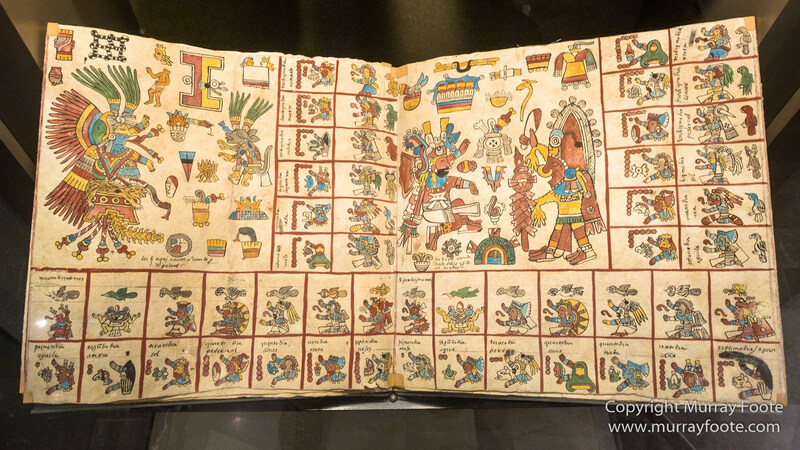 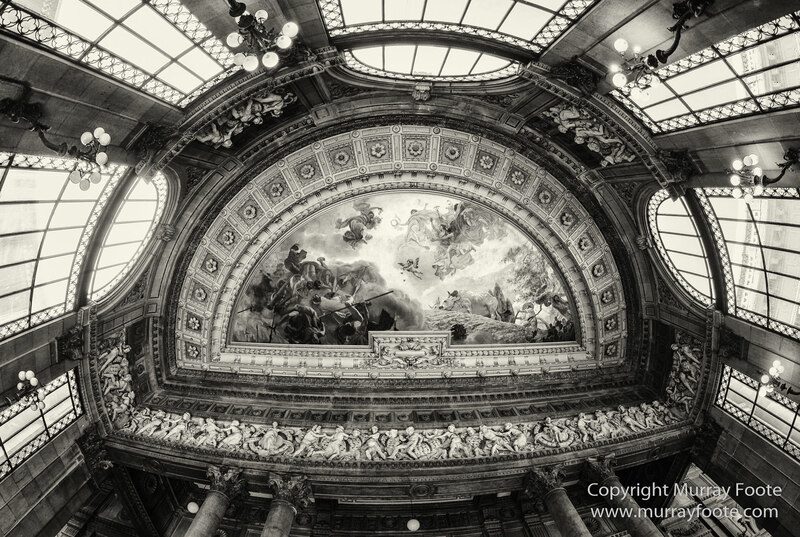 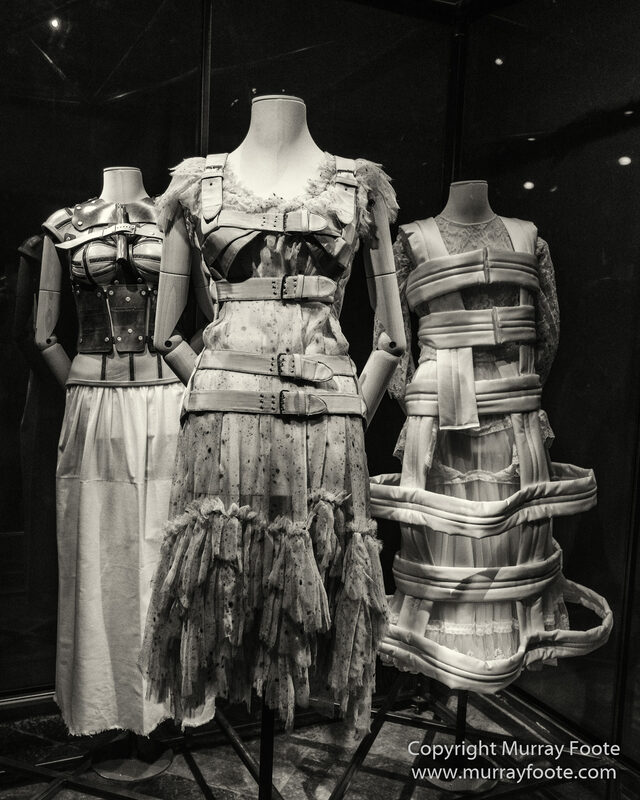 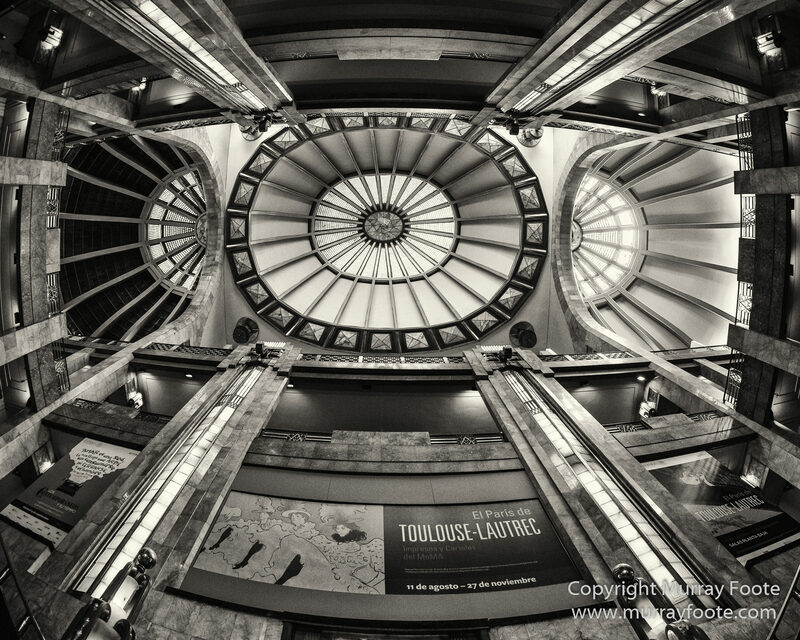 They relate historical, genealogical and mythical events and include pictures and writing. 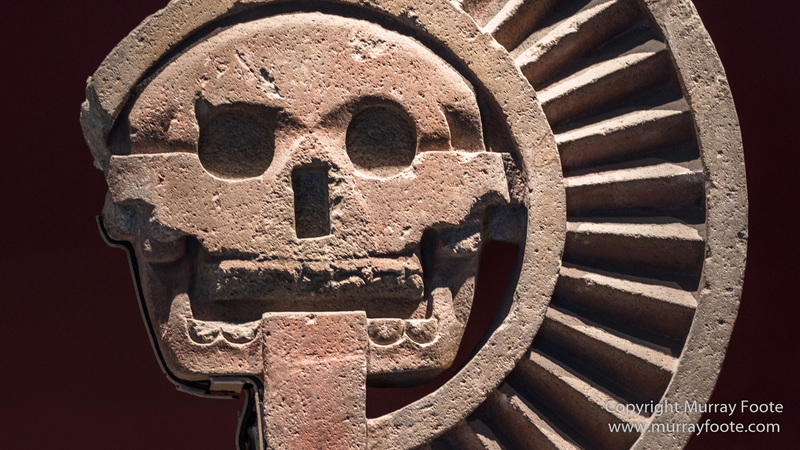 Not many survived the Spanish conquest. 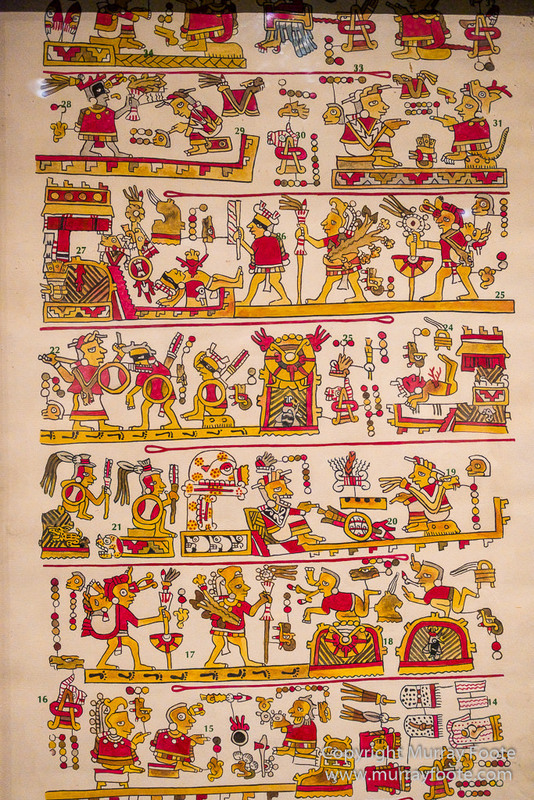 You read them from the bottom right in alternating directions, as indicated here by the red lines with loops. 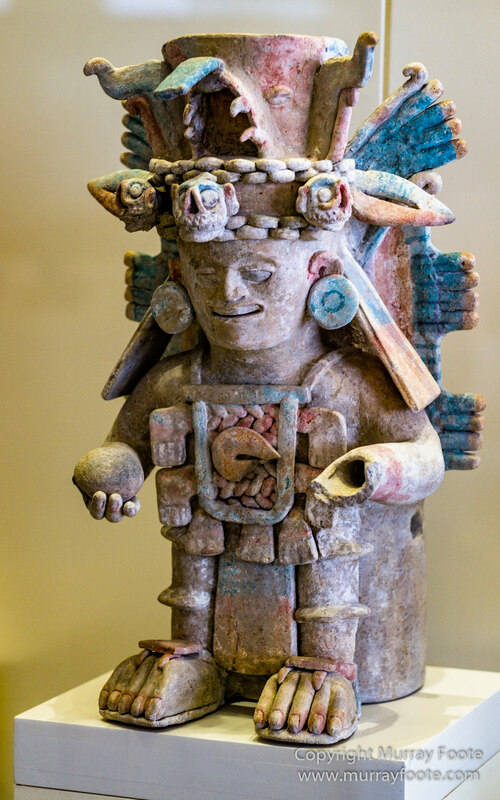 Teotihuacan was a powerful culture from 200 to 900AD, forming extensive trade links and also conquests from the Zapotecs to the western Maya. 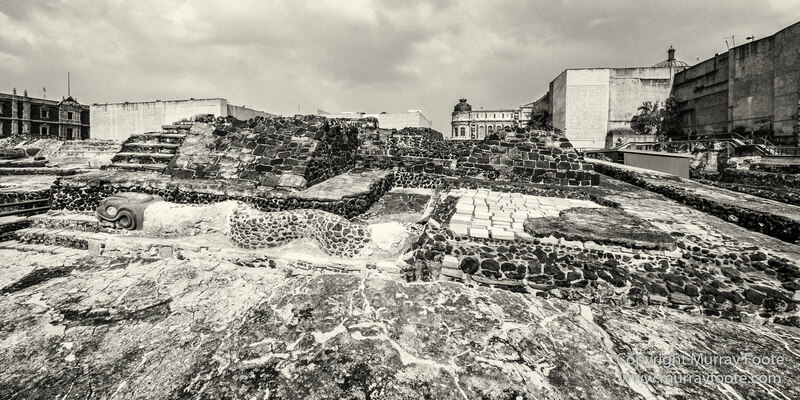 They left behind the remains of a huge city near Mexico City (Tenochtitlan) that mystified the Aztecs when they arrived. 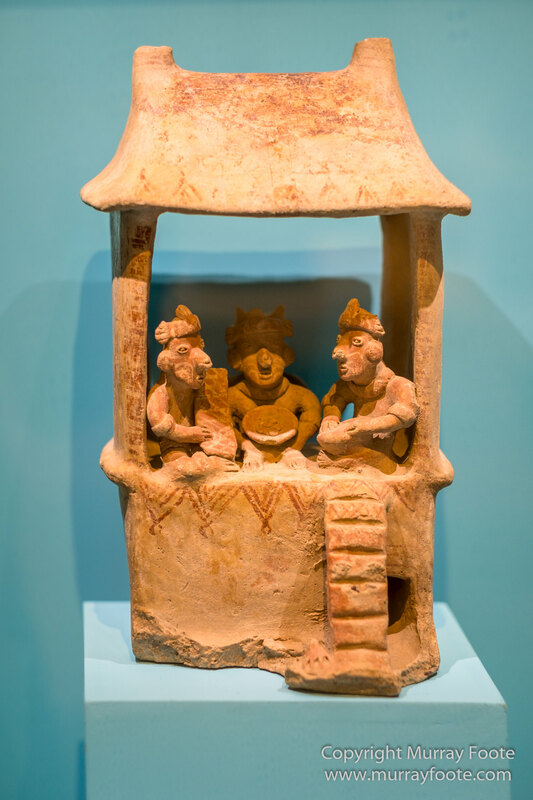 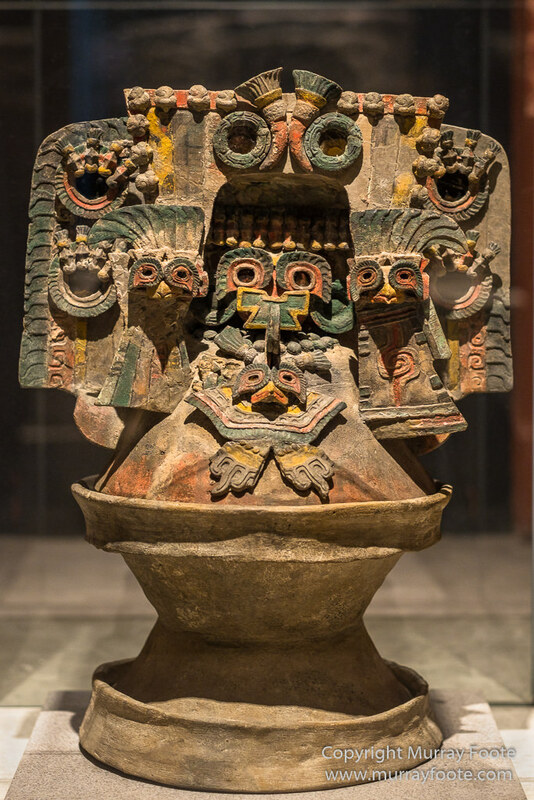 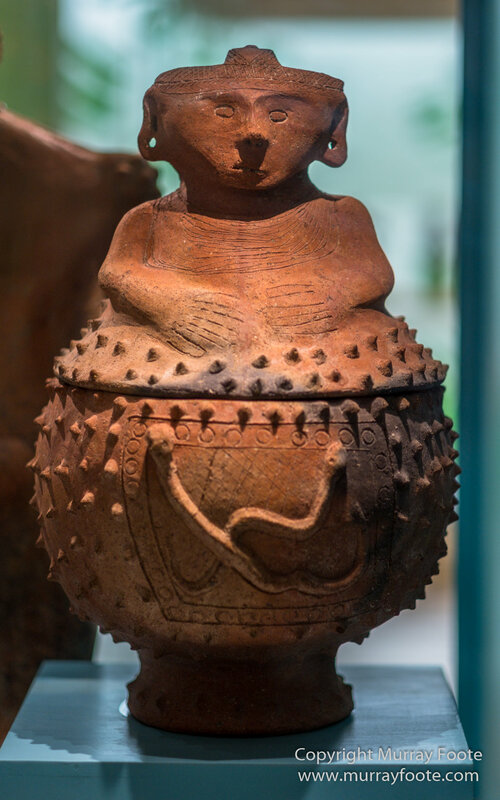 A Terracotta censer from about 600AD, probably linked to the cult of the god Tlaloc (god of rain, lightning and thunder, a fertility god and also a wrathful deity, responsible for both floods and droughts). 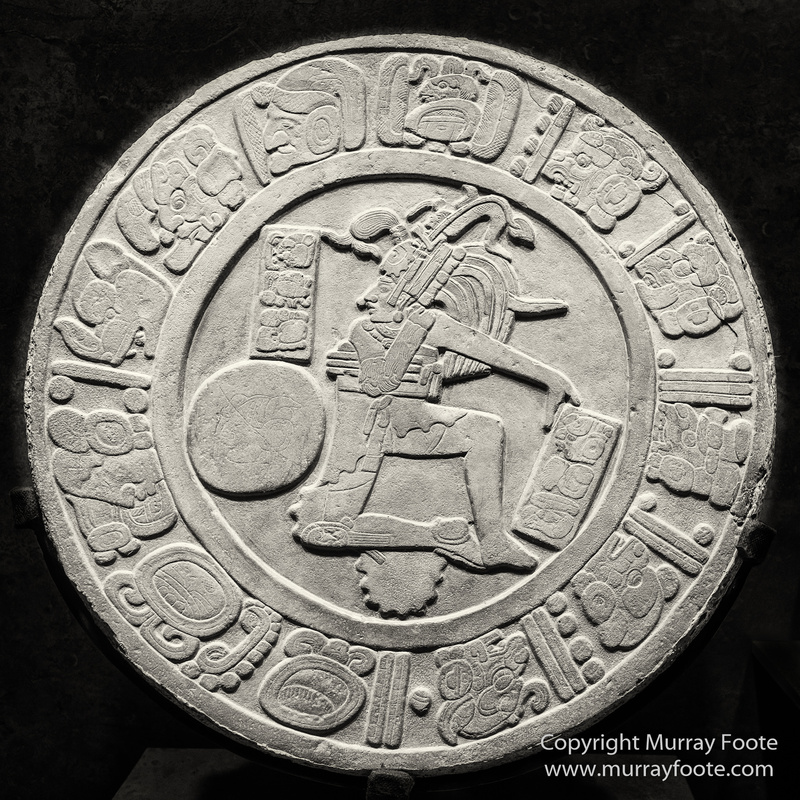 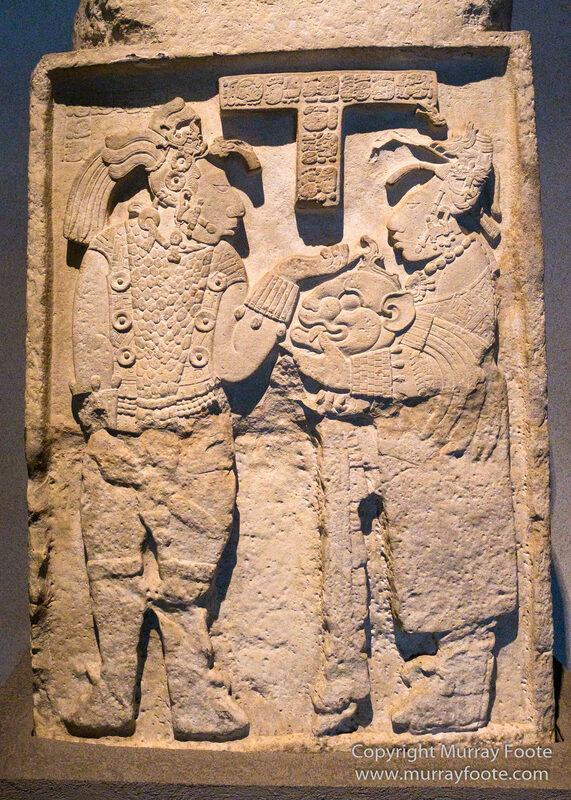 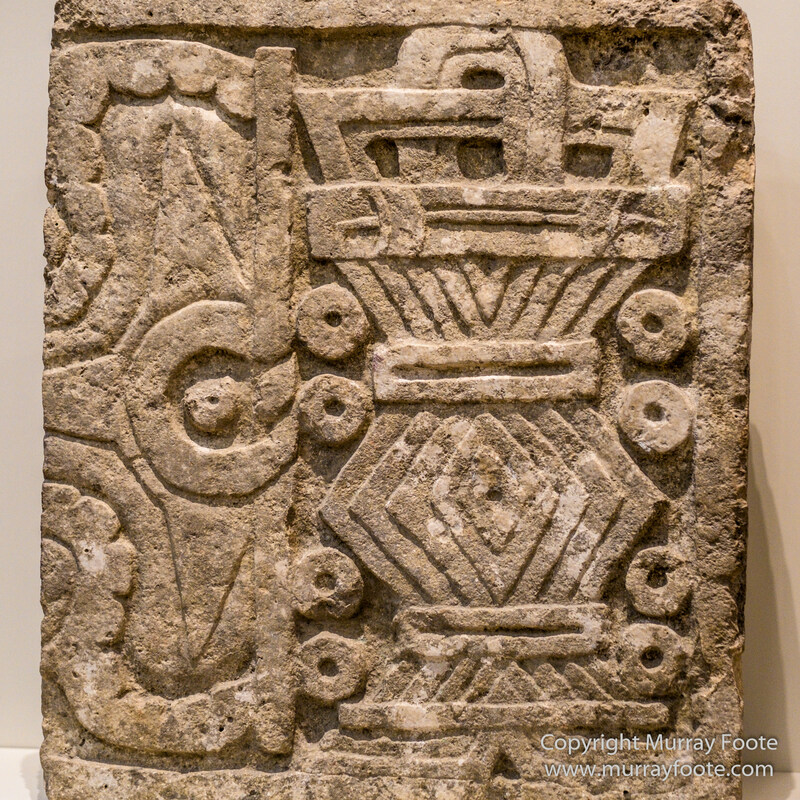 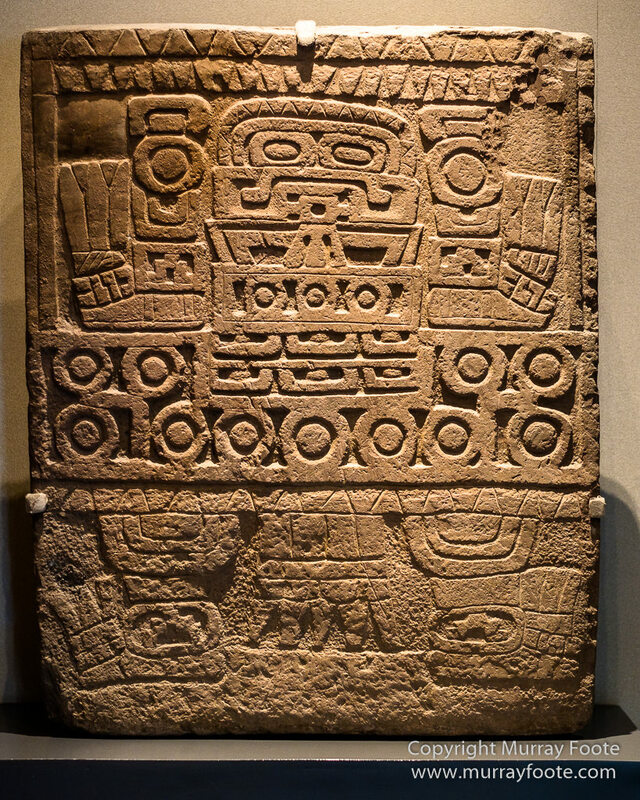 The rear of a stela that shows the links with the Maya. 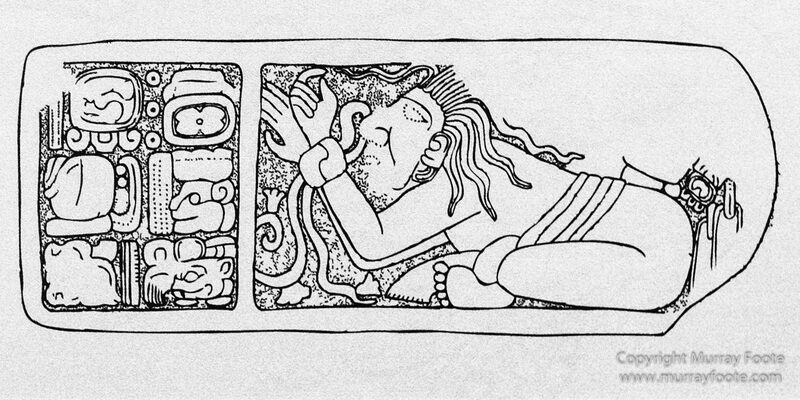 The glyphs commemorate the Government of “Stormy Sky ” and the exploits of “Curly Nose”and his relative “Steaming Frog”. 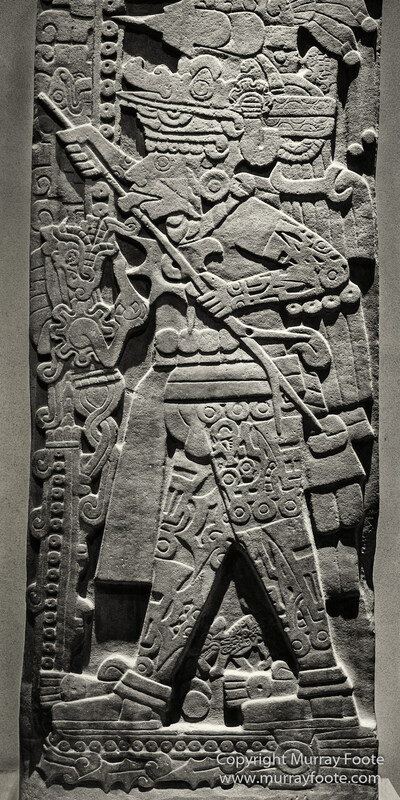 The front shows K’awil Chann, “Stormy Sky”, seventh ruler of Tikal. 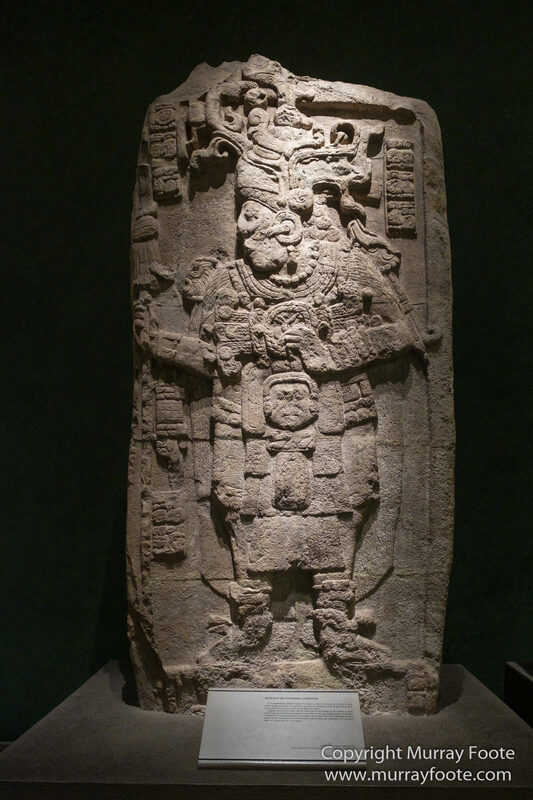 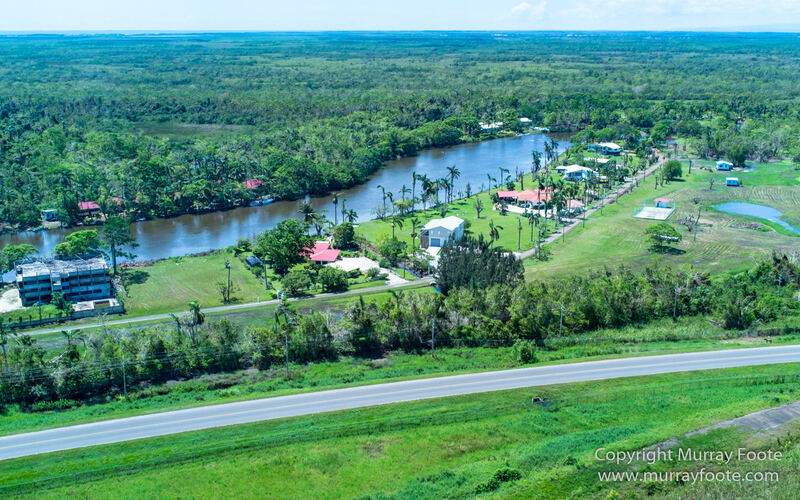 Over his head his father, Huh Chaan Mah K’ina, “Curly nose”, legitimates his right as Lord of Tikal. 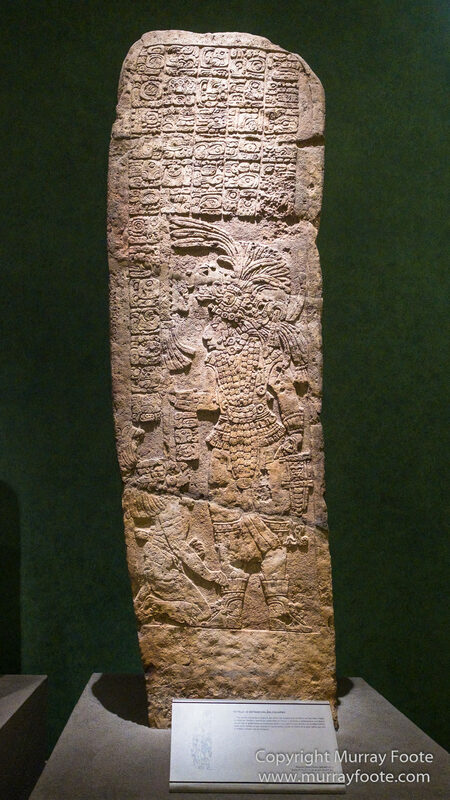 Early Classic period, 250-650AD.